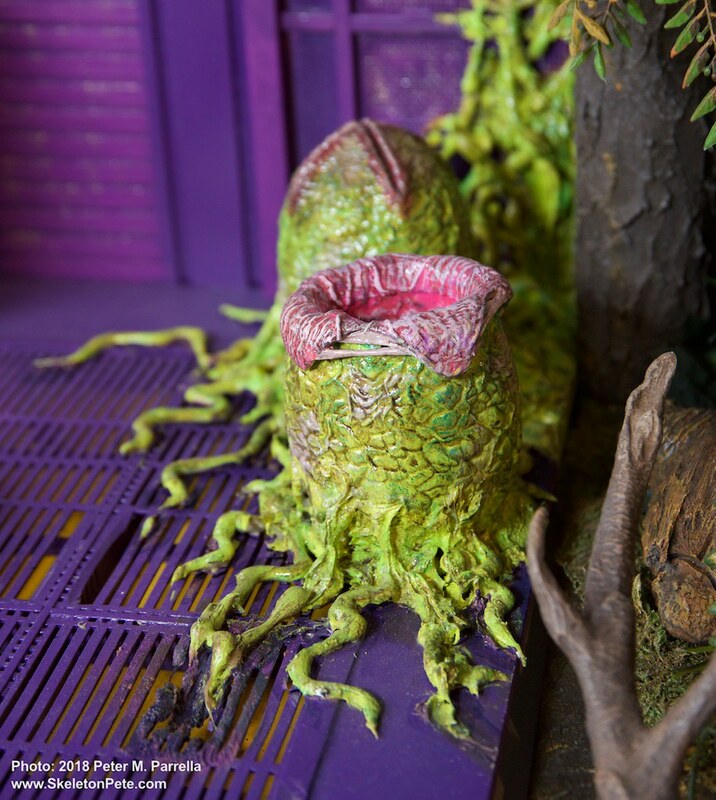 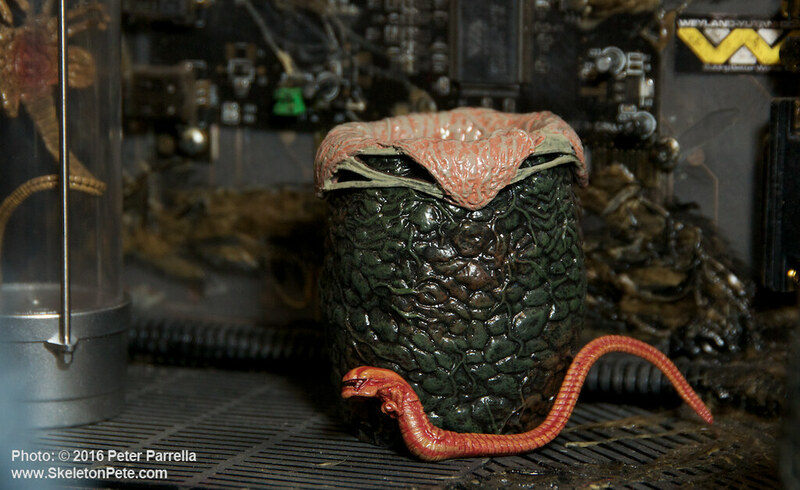 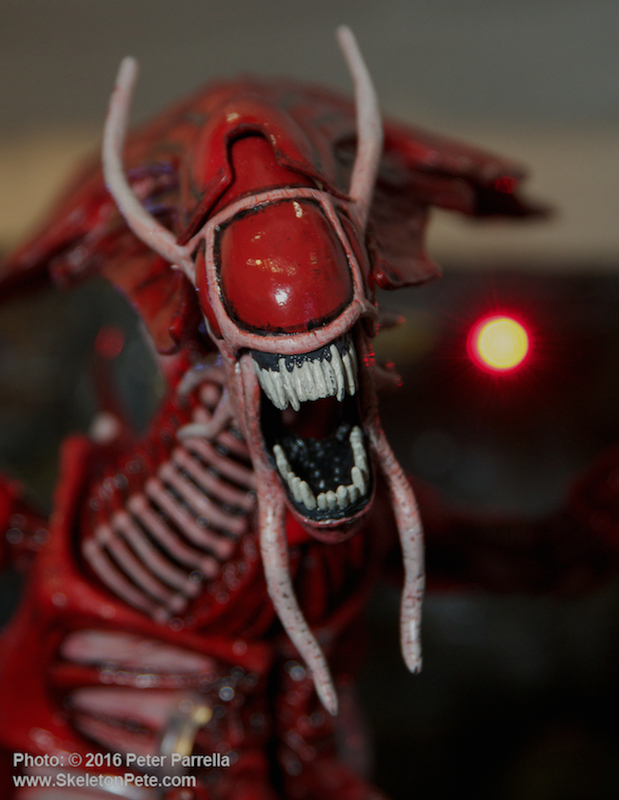 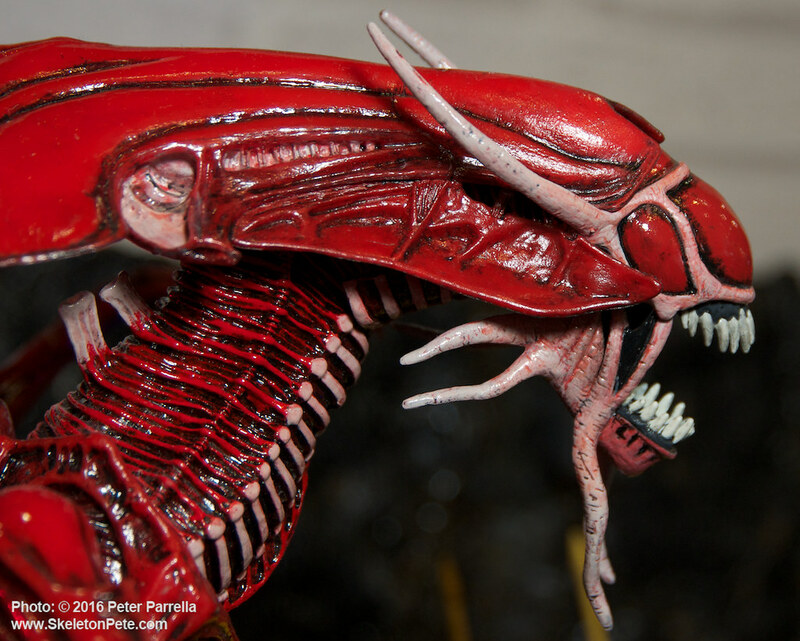 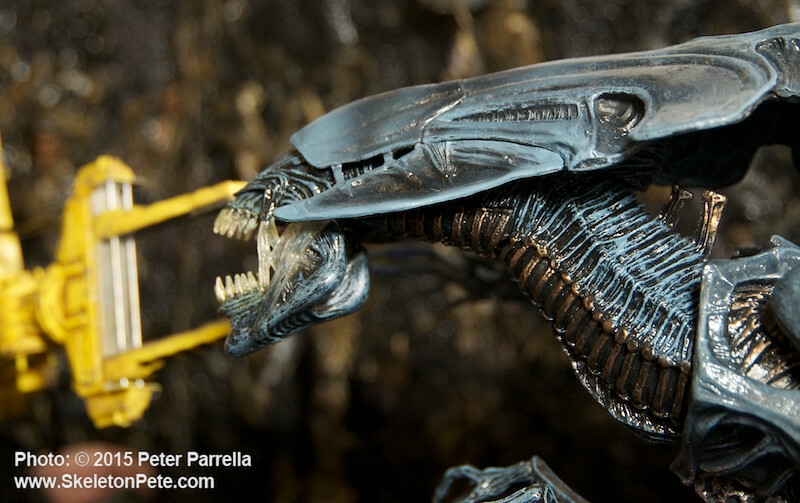 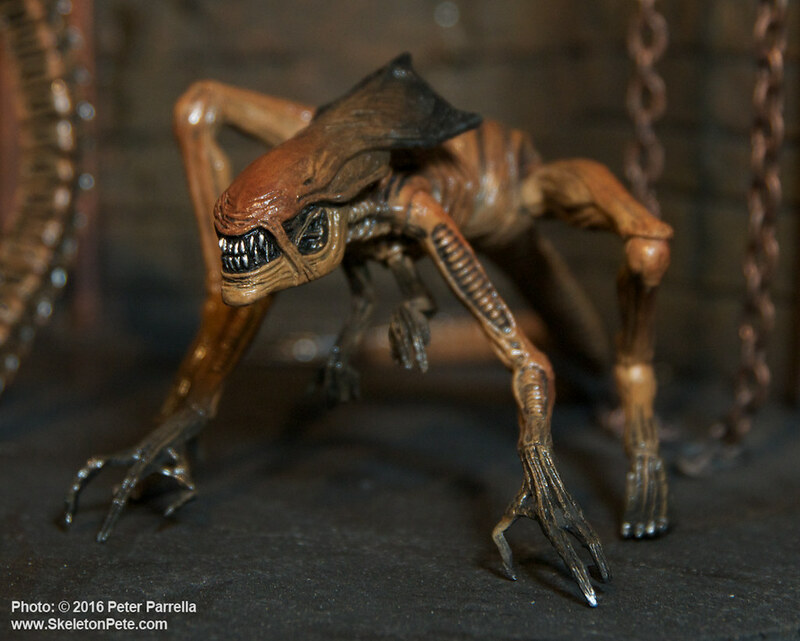 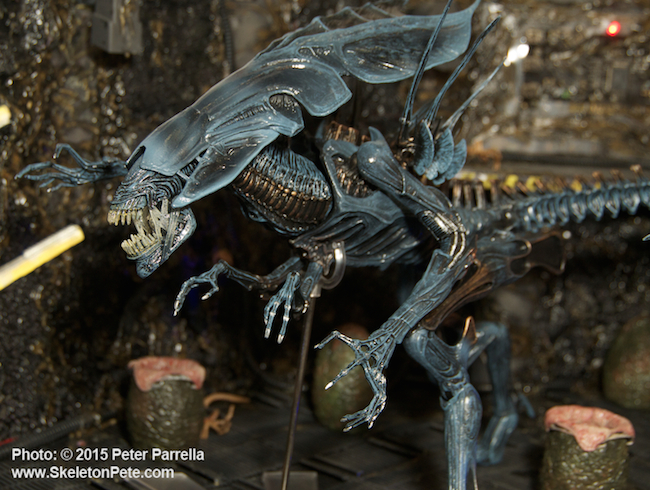 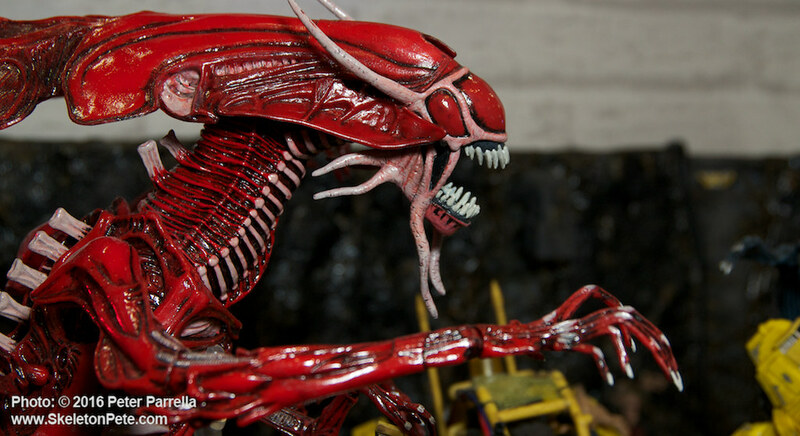 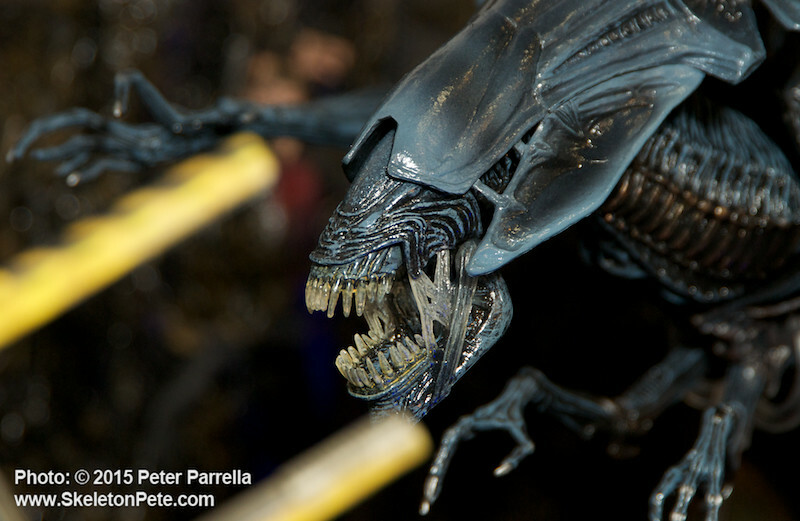 NECA’s 15″ Aliens Ressurrection Red Queen Mother is ready for her close-up. 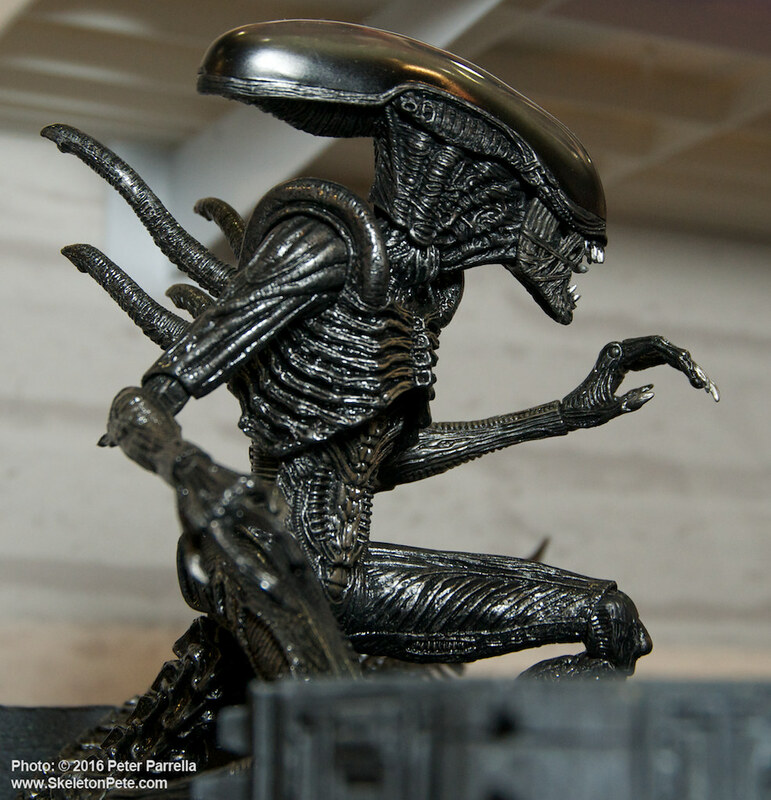 2016 marks the 30th anniversary of the release of the 20th Century Fox space shocker Alien. 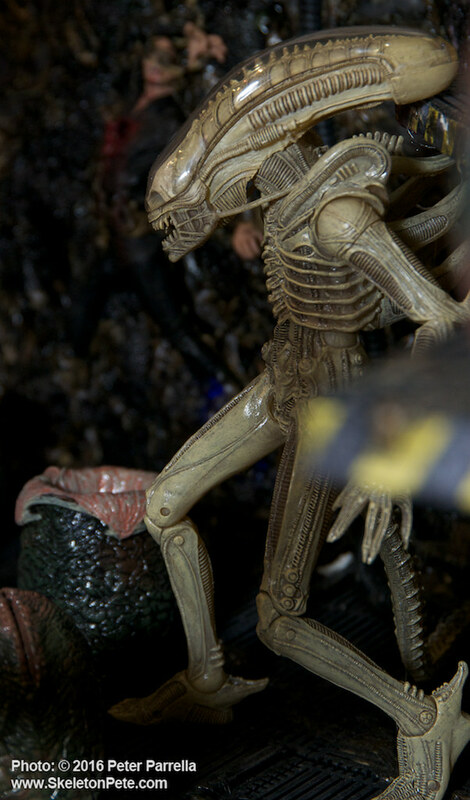 It’s hard to describe what it was like seeing that film in a theater for the first time, no preconceptions, no spoilers, no a clue as to what was ahead. 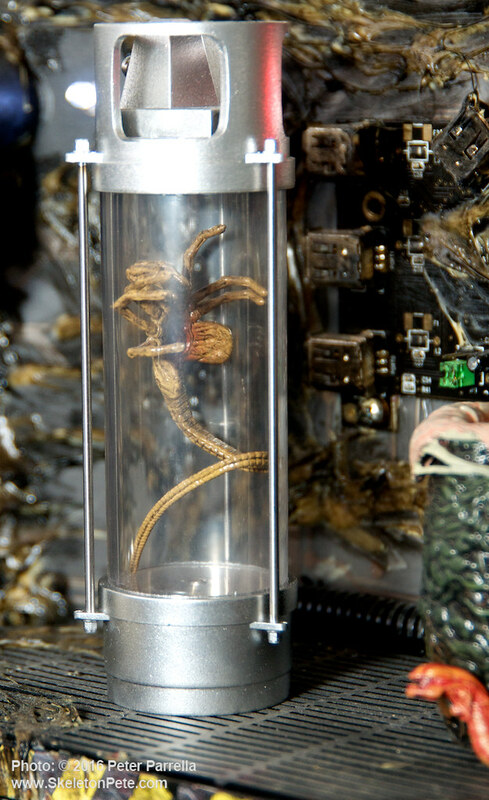 I’m still trying to retrieve bits of the skin that I jumped out of. 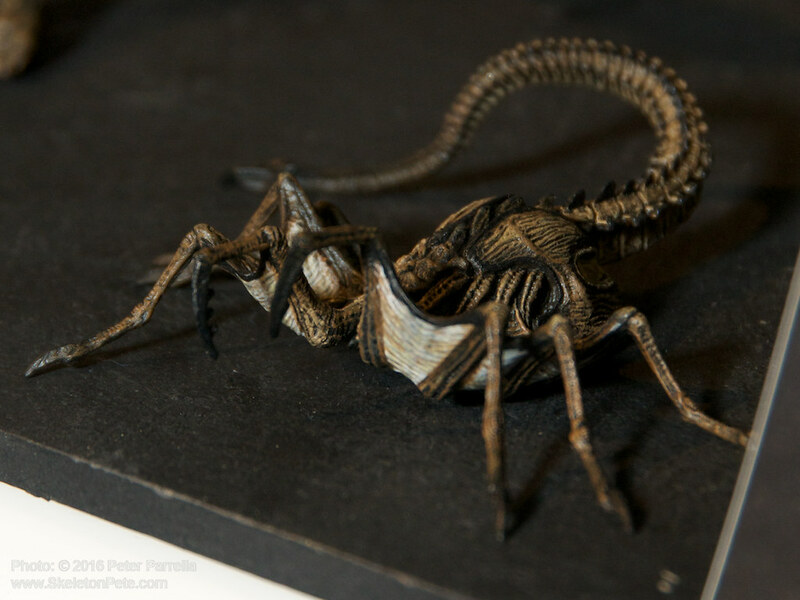 The spectacular H. R. Giger bio-mechanical designs for the facehugger, chestburster and the original xenomorph were all brand new to the horror genre, like the first time the Frankenstein monster stepped into view in 1931. 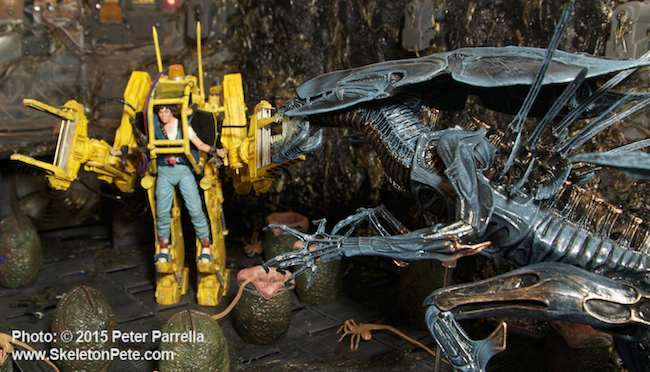 Alien Queen faces off against Ellen Ripley for a mother of a fight. 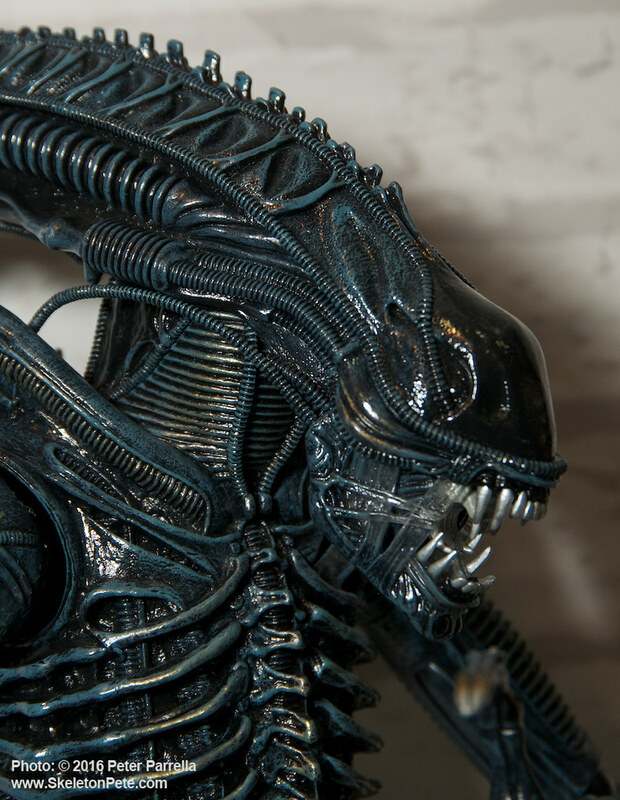 According to recent news Fox’s Alien franchise is poised to gear up again. 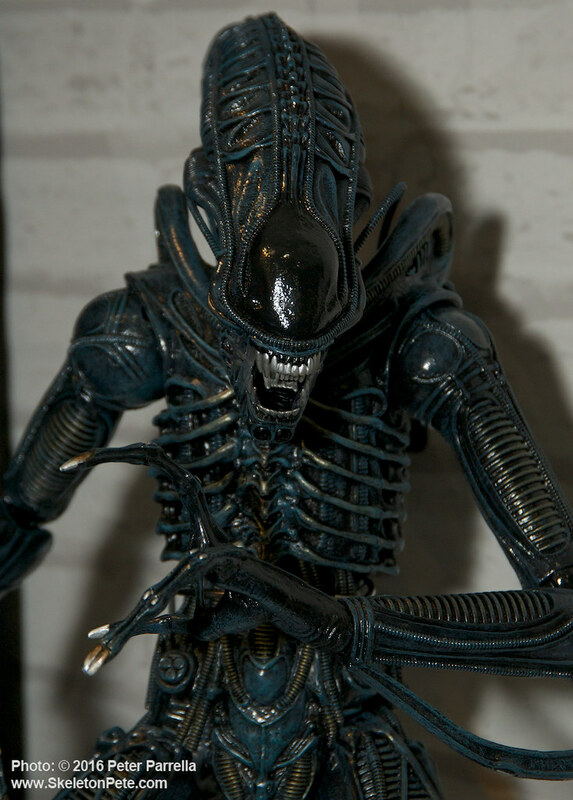 This fifth installment will feature first Alien protagonist Ellen Louise Ripley as the lead character and apparently ignore the plot lines of Alien 3 and Alien: Resurrection. 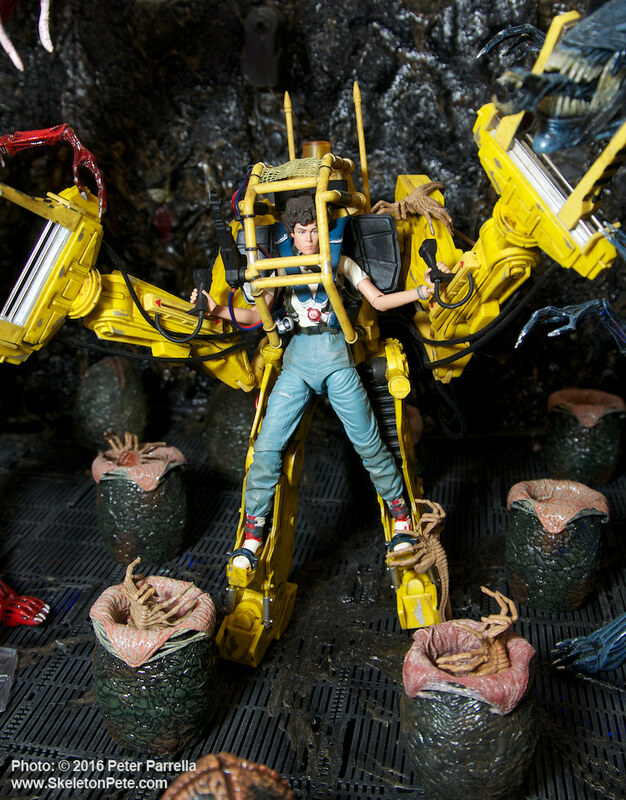 It’s a maneuver by director/writer Neill Blomkamp (Chappie, District 9) that will surely cause controversy in the fan communities for its wholesale revisionism. 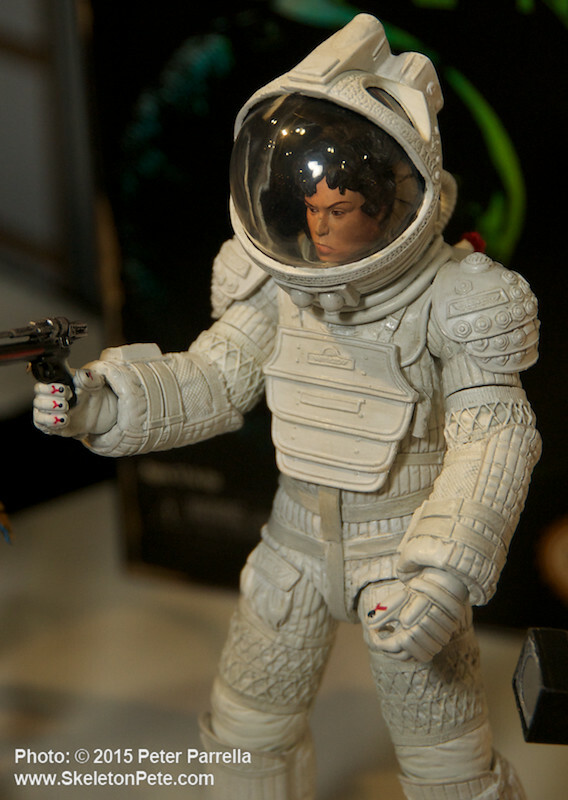 I personally hope it will finally give the Ripley character a definitive and satisfying third act. 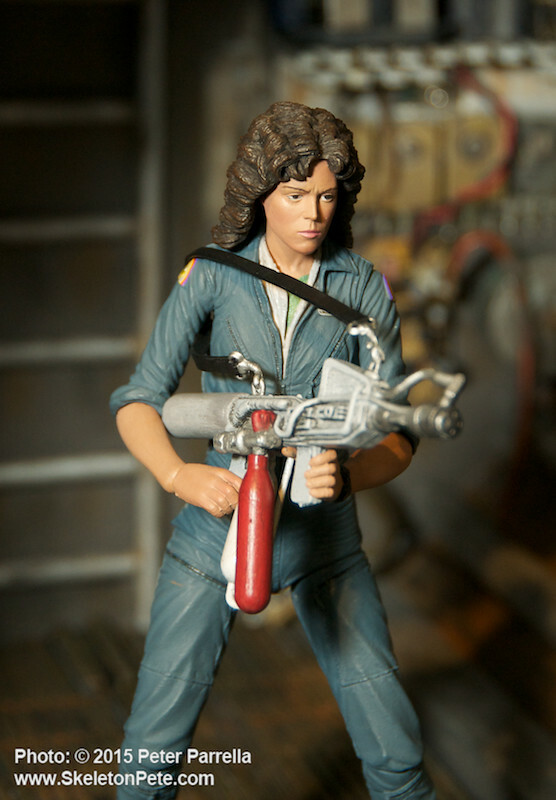 Most importantly, actress Sigourney Weaver has just verified taking the lead again. 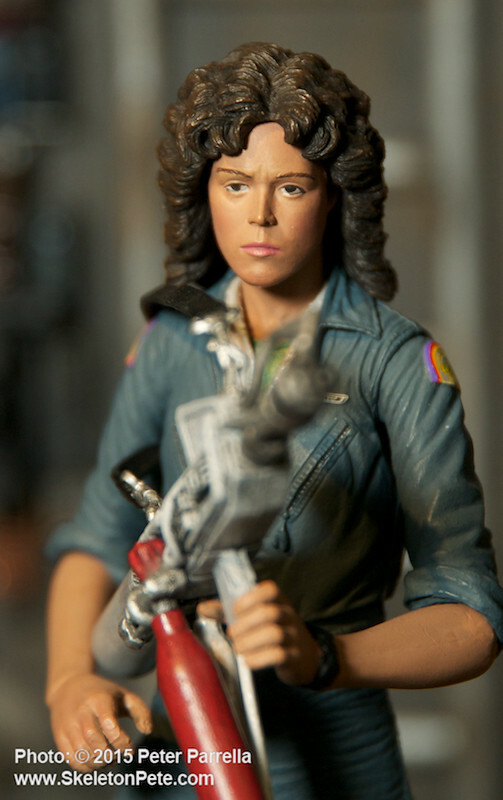 It’s a role that has proven to define the female action hero for several decades and it’s good to know it will be in the hands of its original creator. 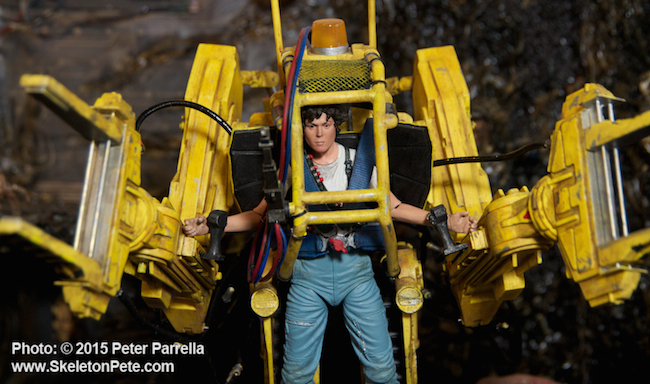 NECA’s P-5000 Power Loader becomes battle gear for Ripley action figure. 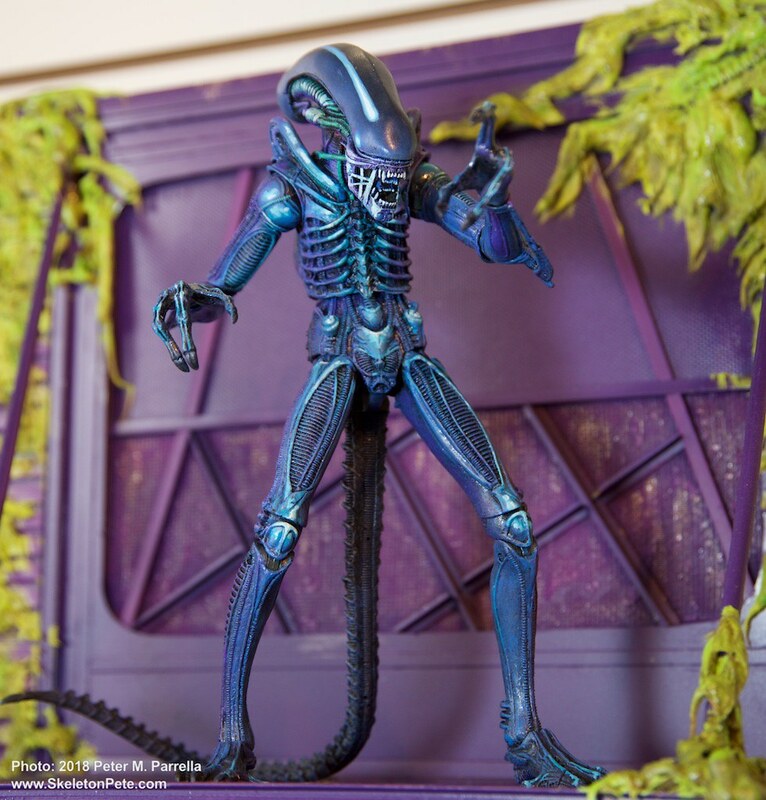 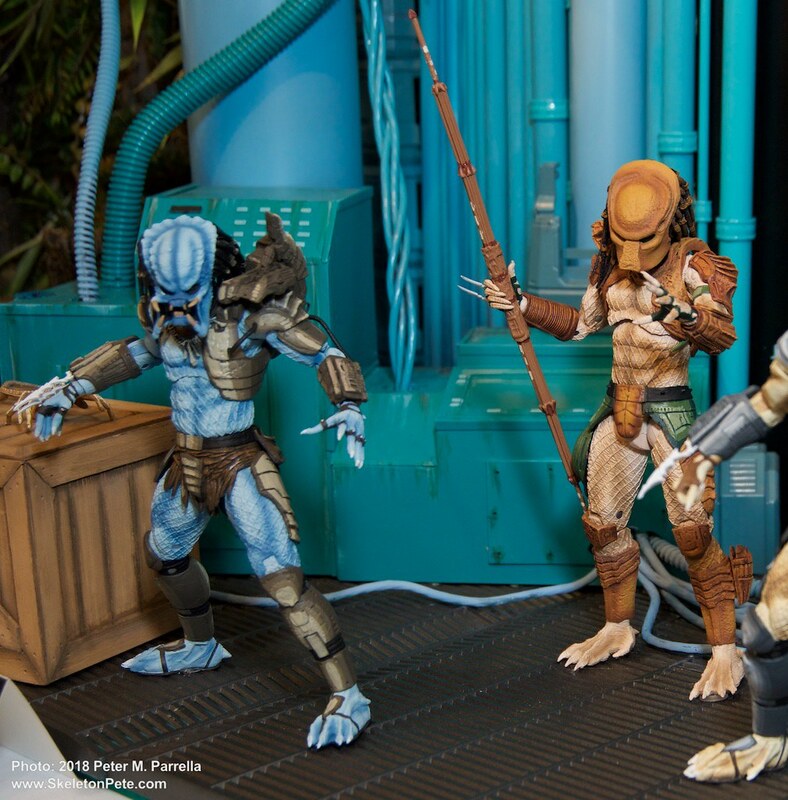 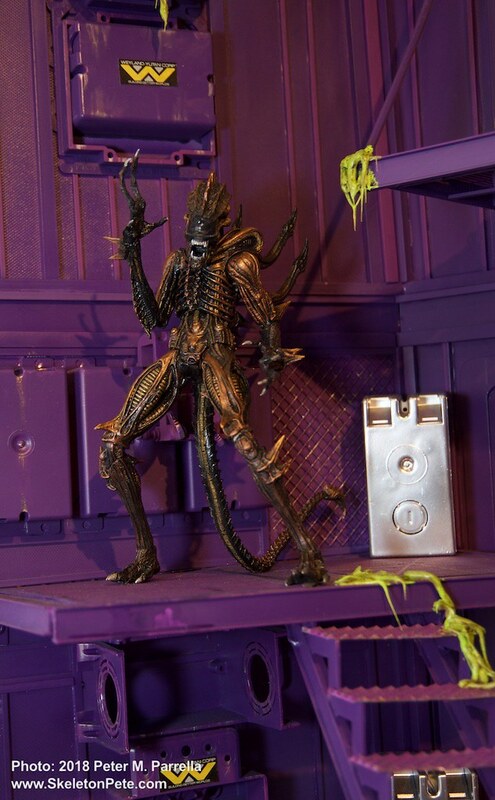 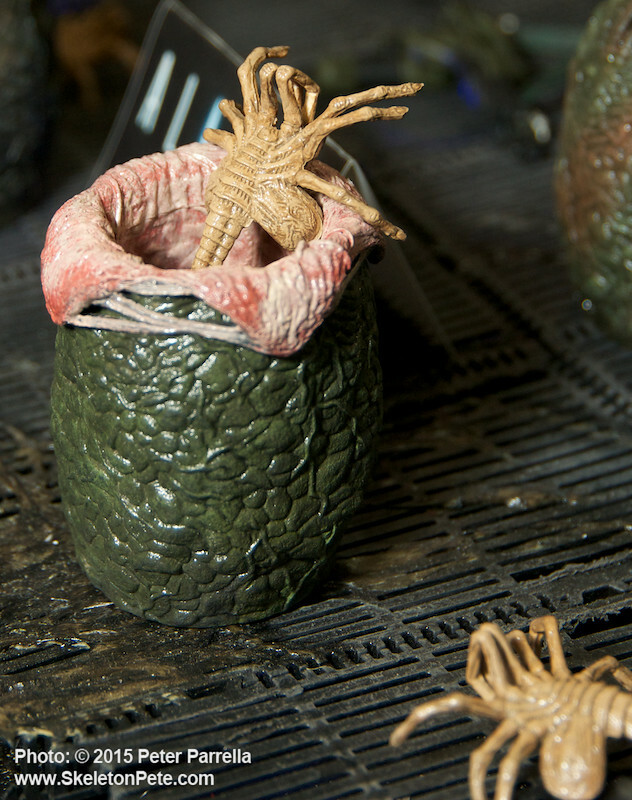 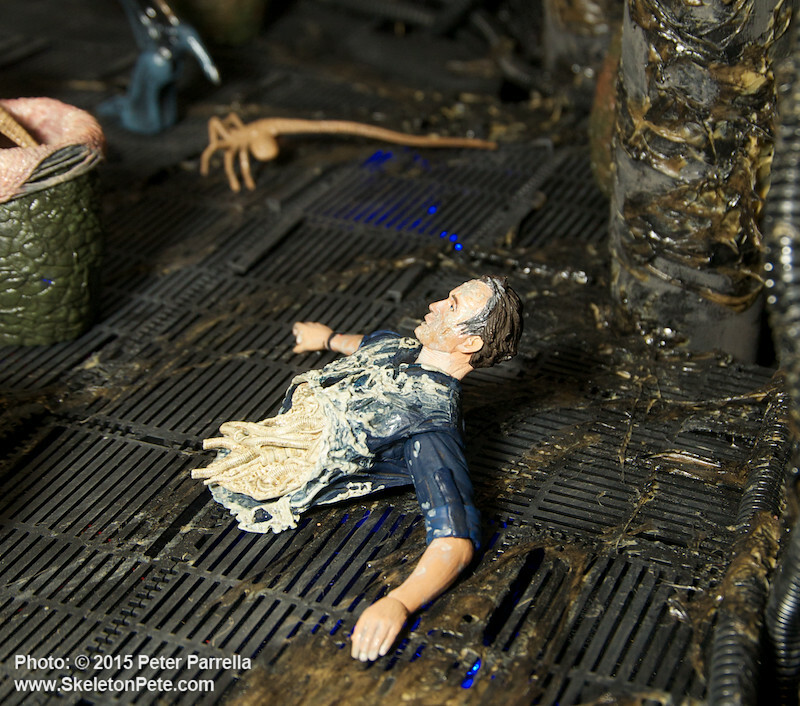 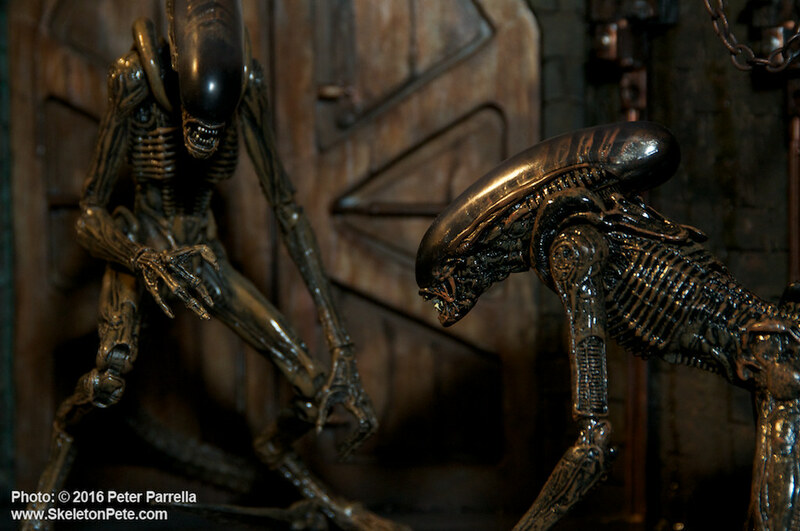 In tandem with this exciting news comes NECA’s announced Alien Series 4 action figures. 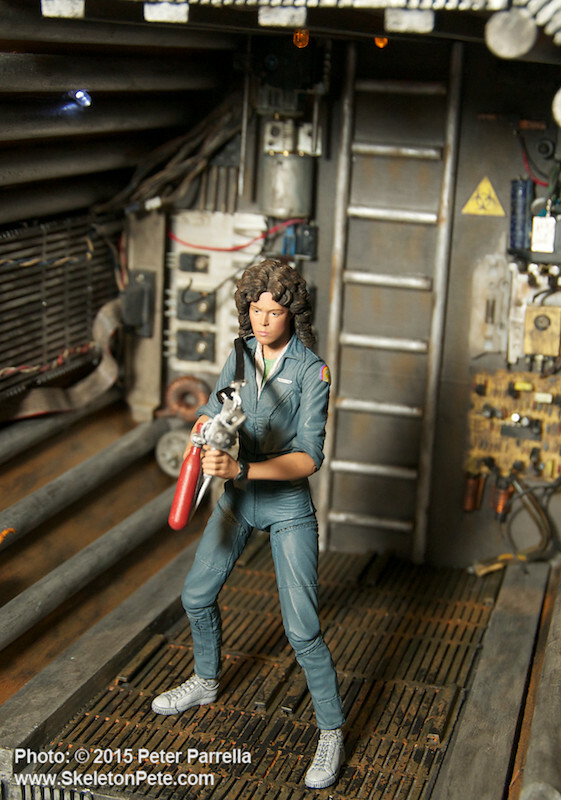 This wave includes Nostromo Captain Dallas (Tom Skerrit) and none other than Ripley herself, based on Weaver’s likeness for the first time. 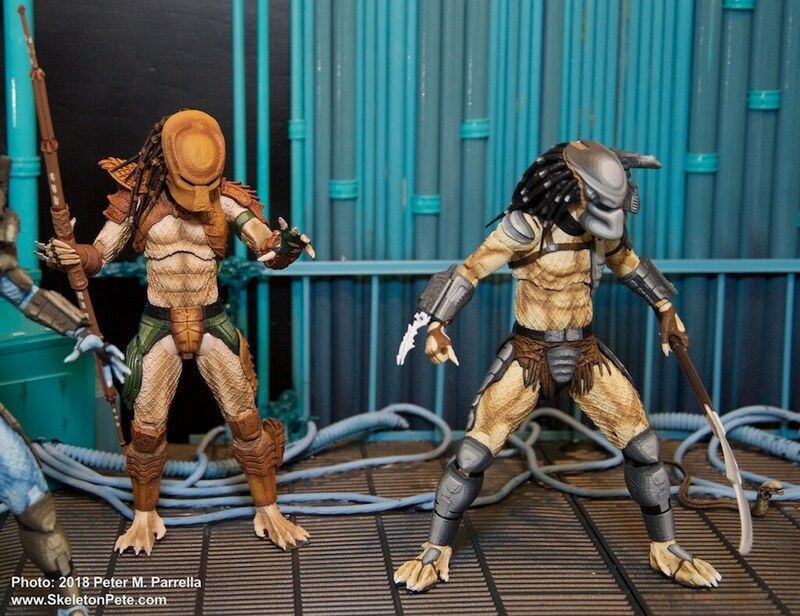 It’s something collectors have been clamoring for and worth the wait as the figure debuts in two different versions. 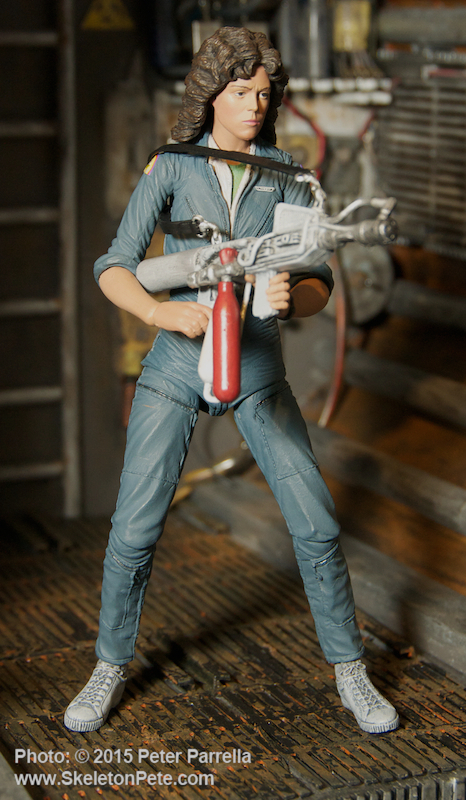 One Ripley dons the distinctive Nostromo spacesuit – what I call the “samurai goalie” look – the other is garbed in her jumpsuit, armed with flame thrower. 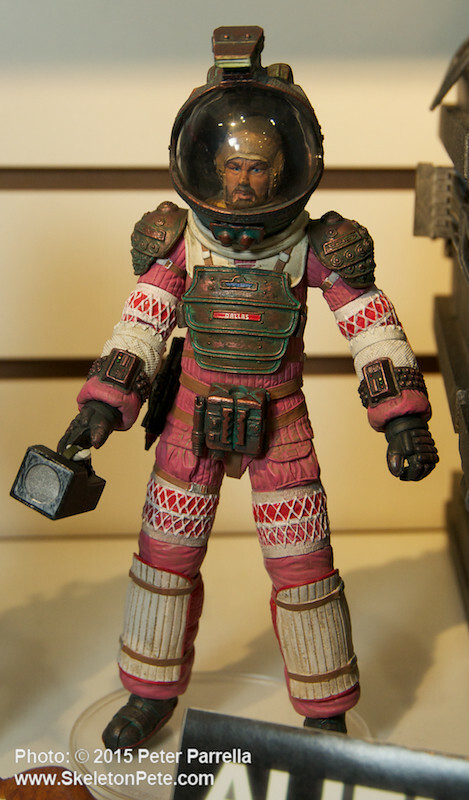 Spacesuit helmets can be removed, but beware those of ornery face huggers. 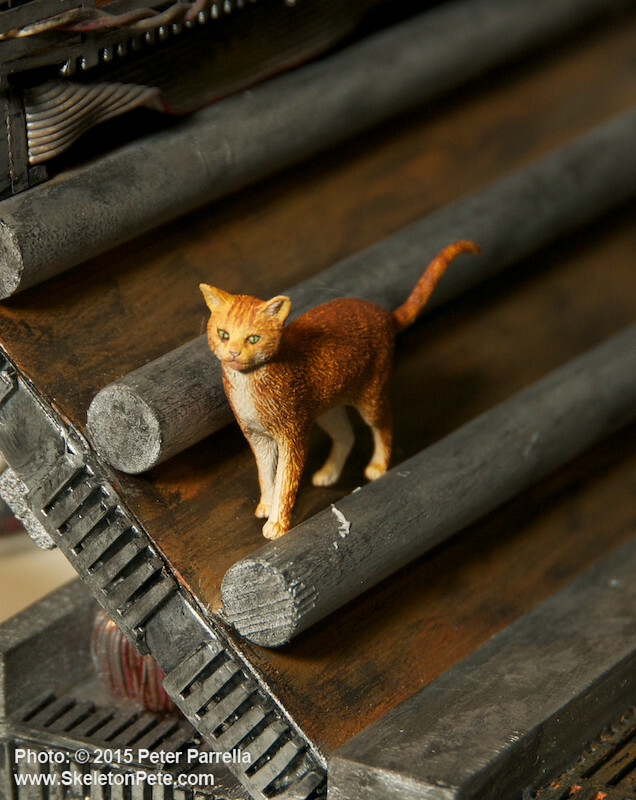 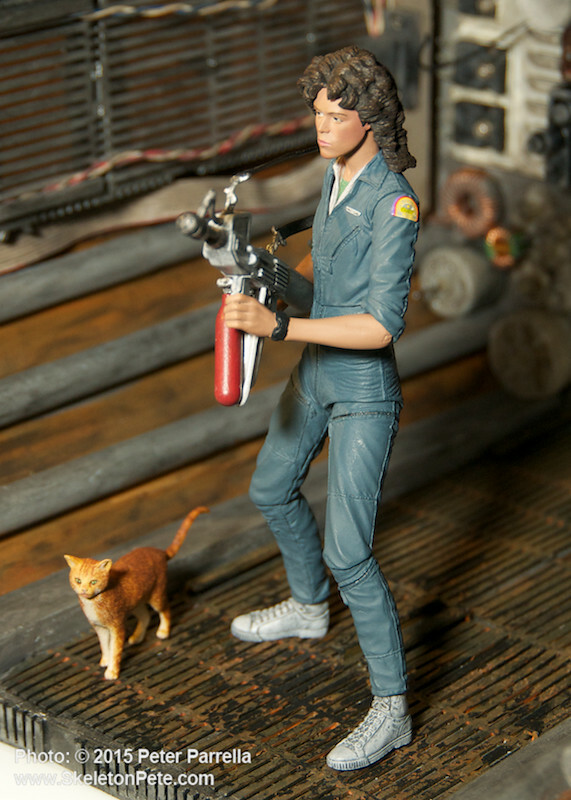 There are even two versions of Jonesy the Cat, one calm and the other with his hackles up. 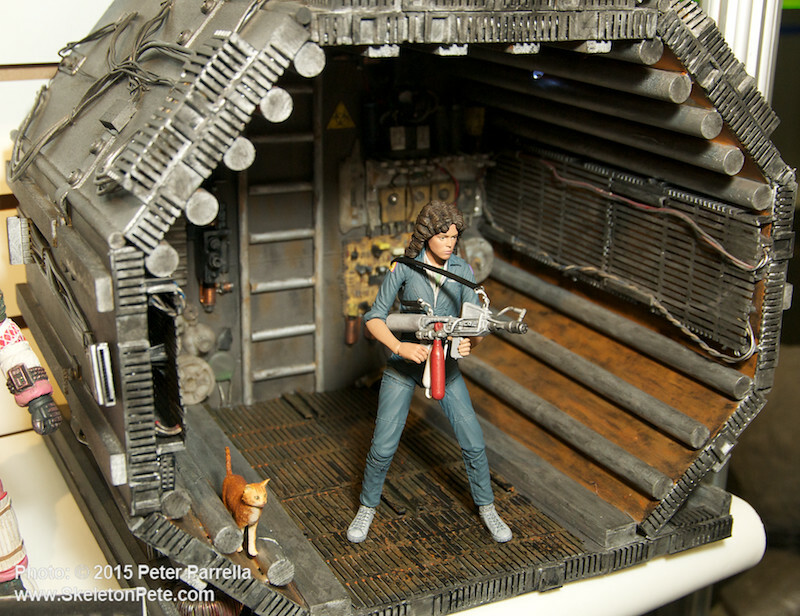 Fan favorite Ellen Ripley ready for action with flamethrower in hand. 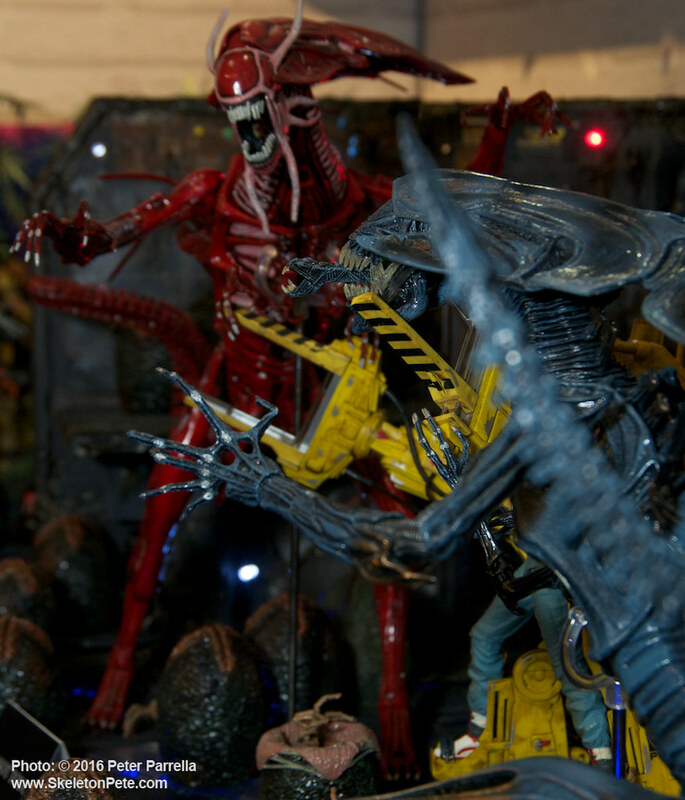 NECA (National Entertainment Collectibles Association) never fails to amaze with their New York Toy Fair sales booth displays. 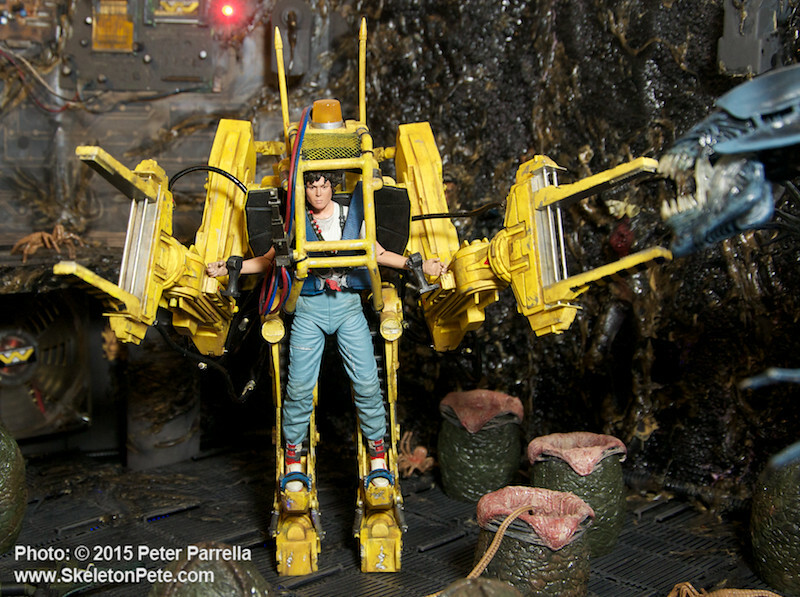 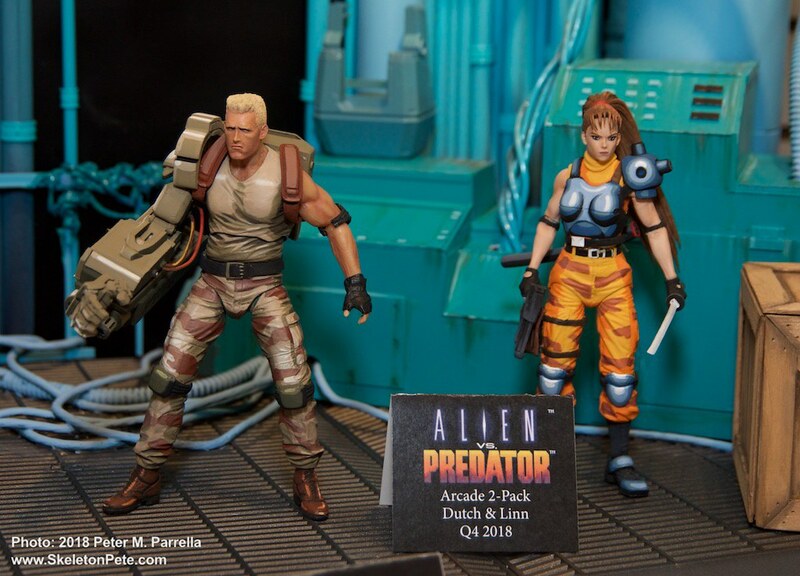 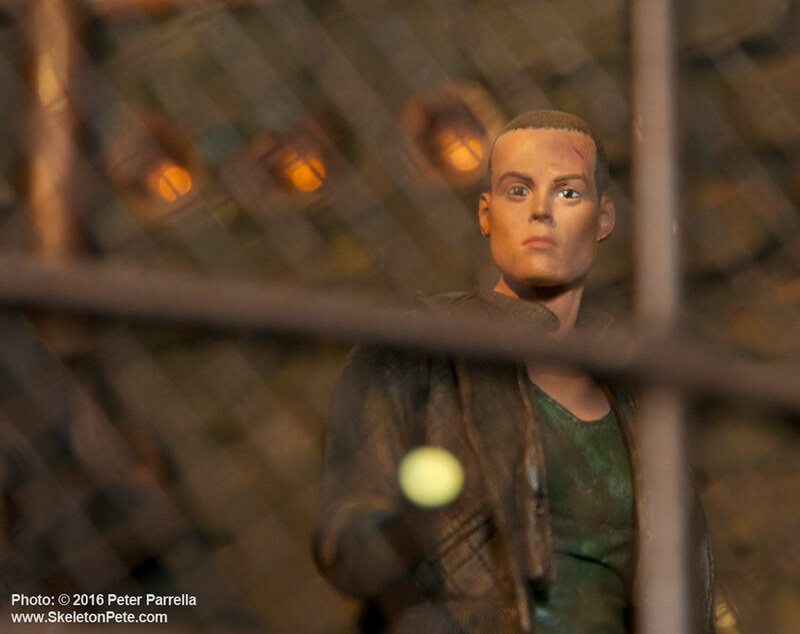 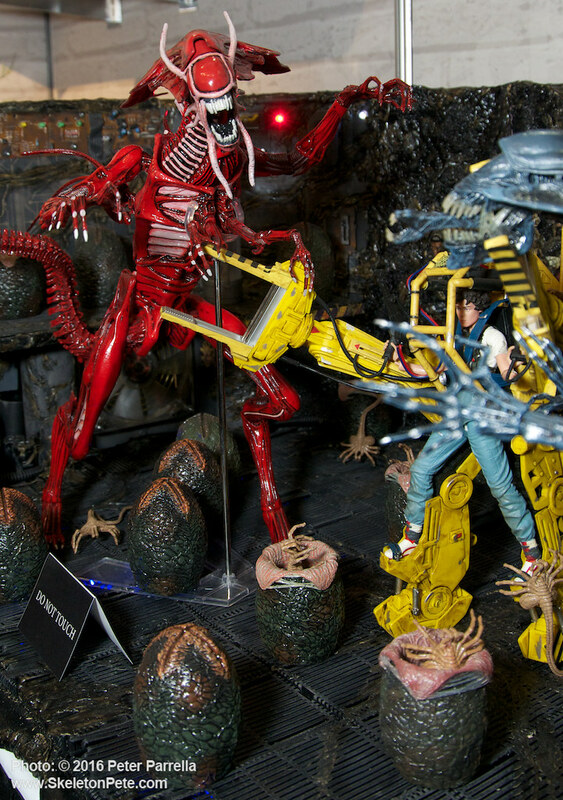 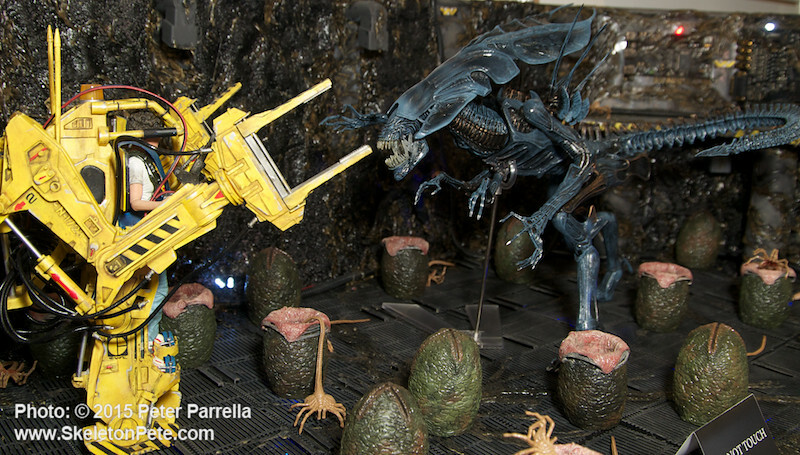 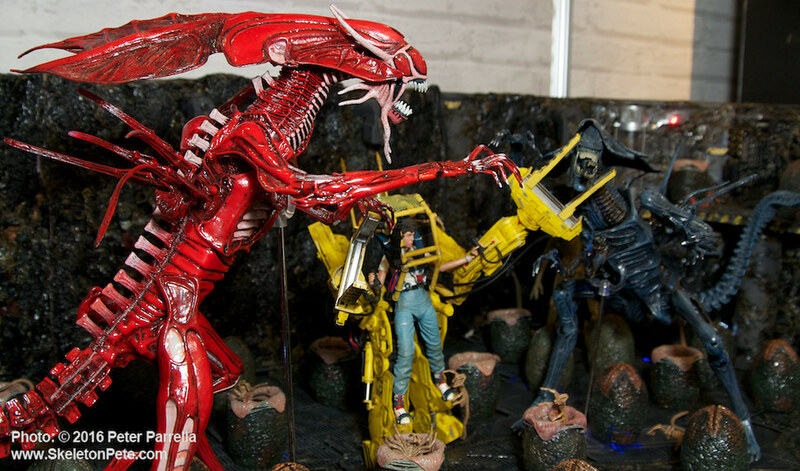 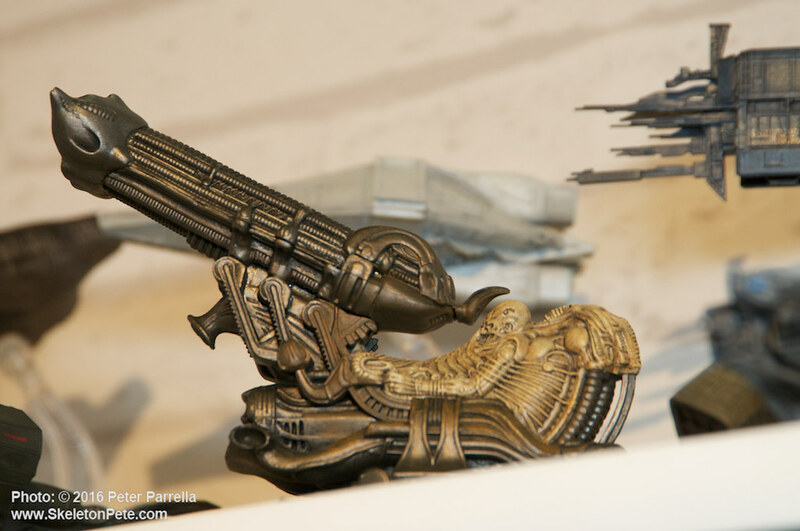 This year the highlight was a huge diorama with Ripley in the P-5000 Power Loader that NECA prevued last year. 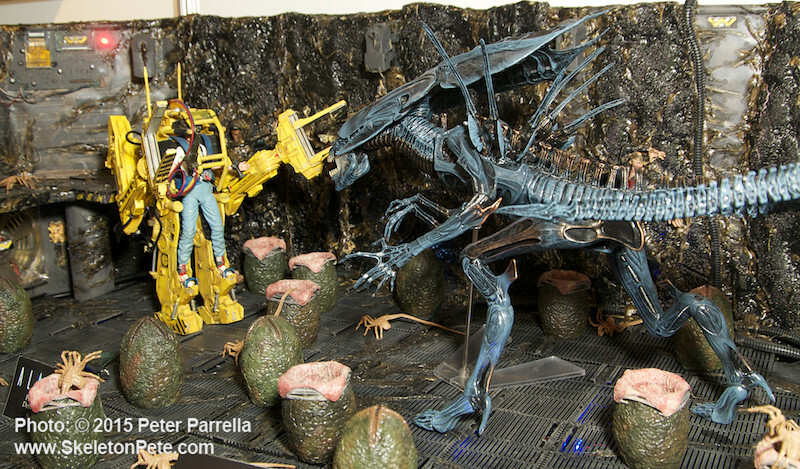 She’s prepared to battle the monstrous xenomorph Queen Mother. 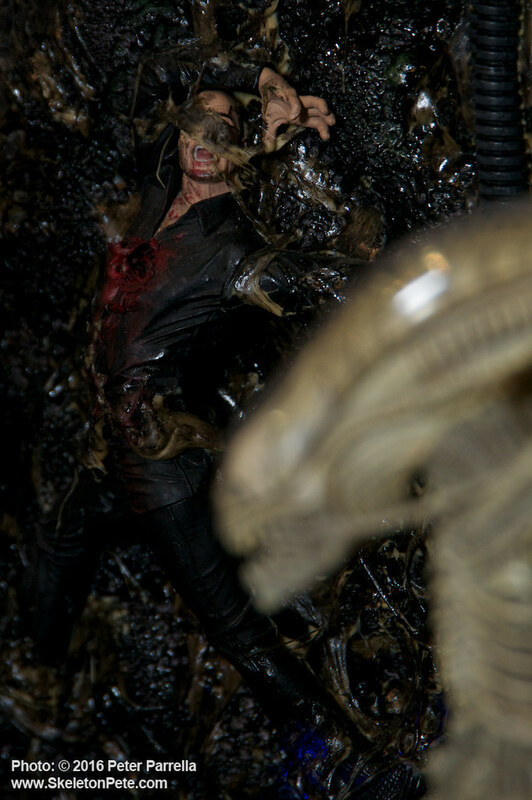 Half of the android Bishop (Lance Henriksen) watches helplessly in the midst of a hatchling swarm of scurrying face huggers. 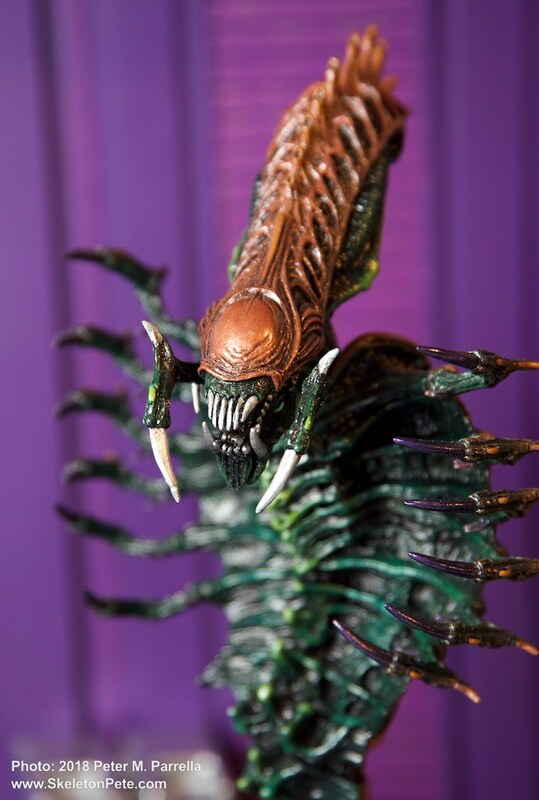 NECA’s Massive Alien Queen closes in for the attack. 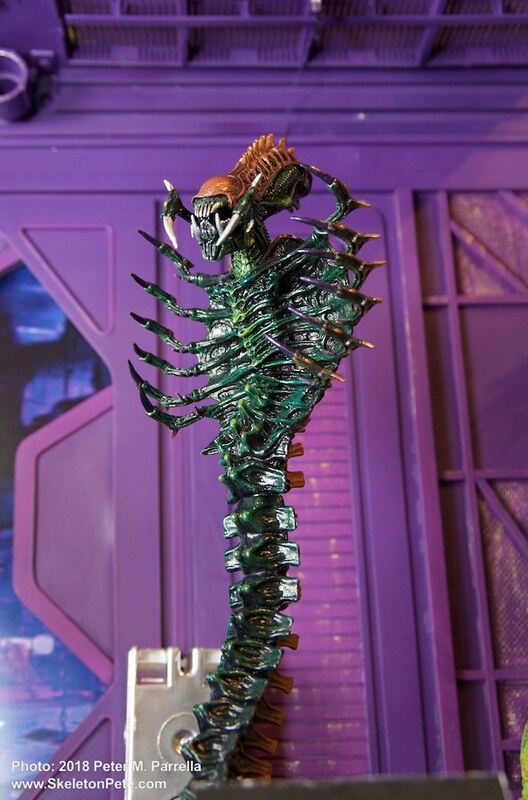 The queen is quite a showpiece. 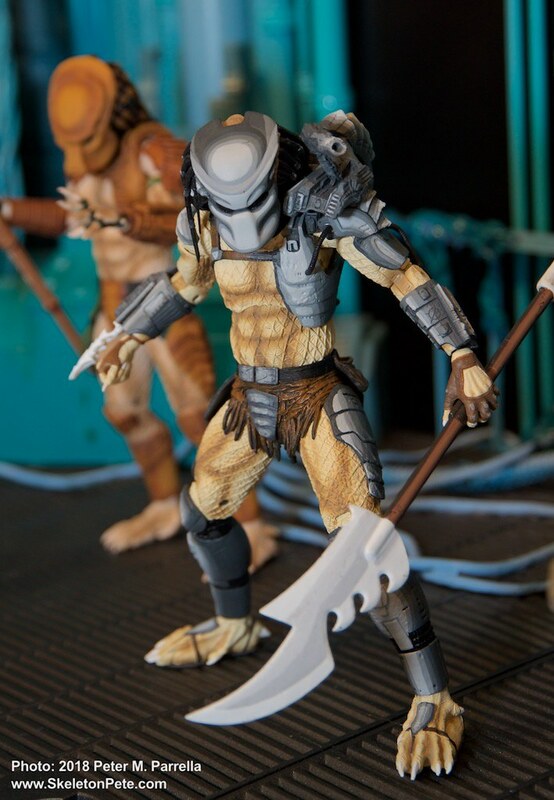 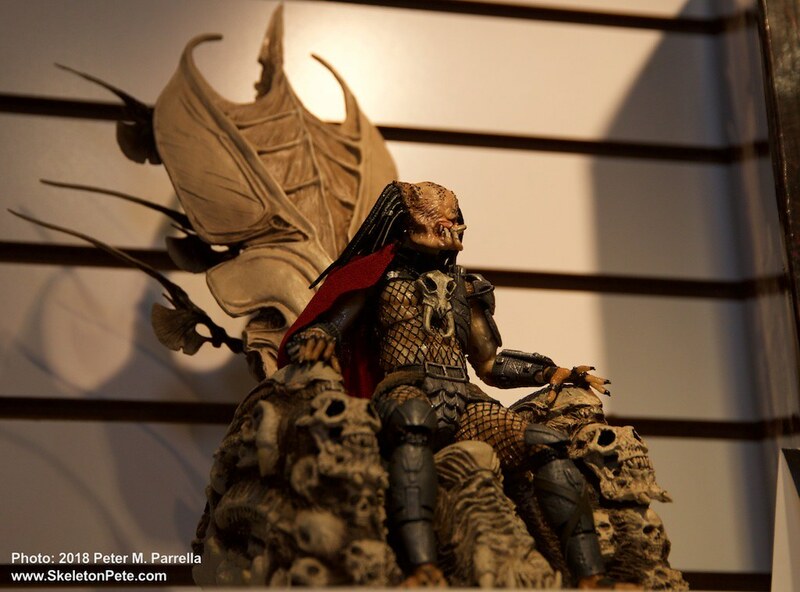 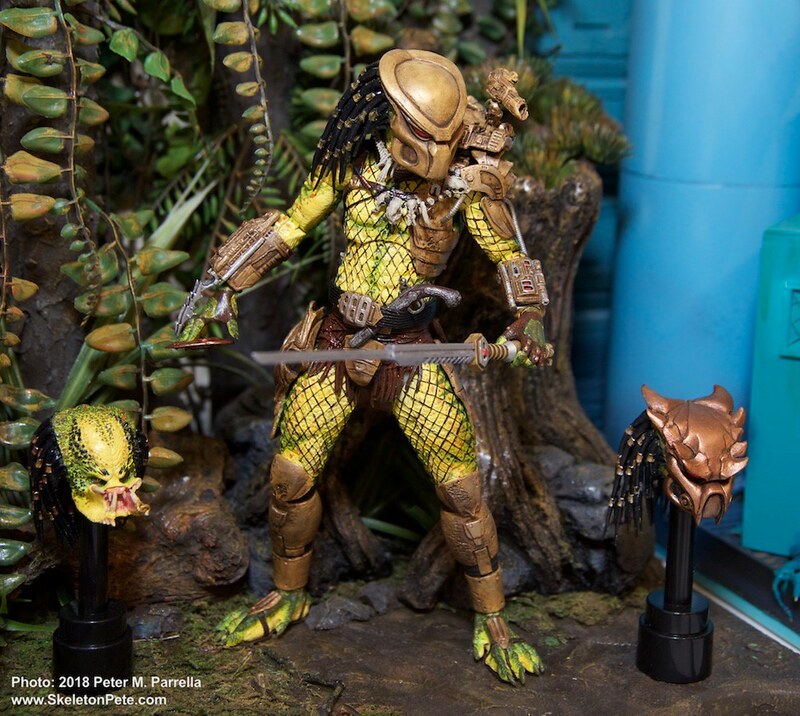 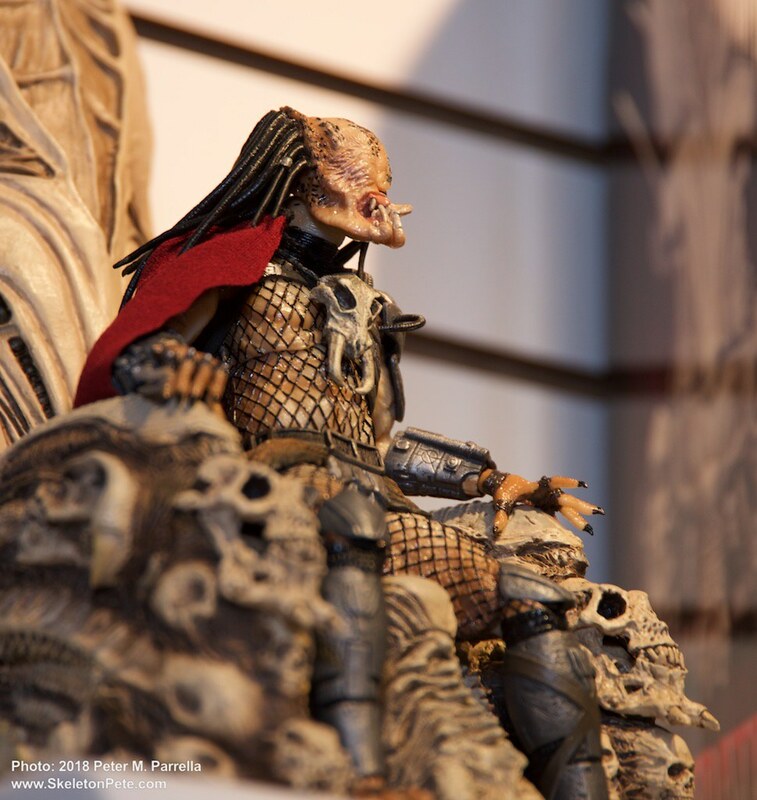 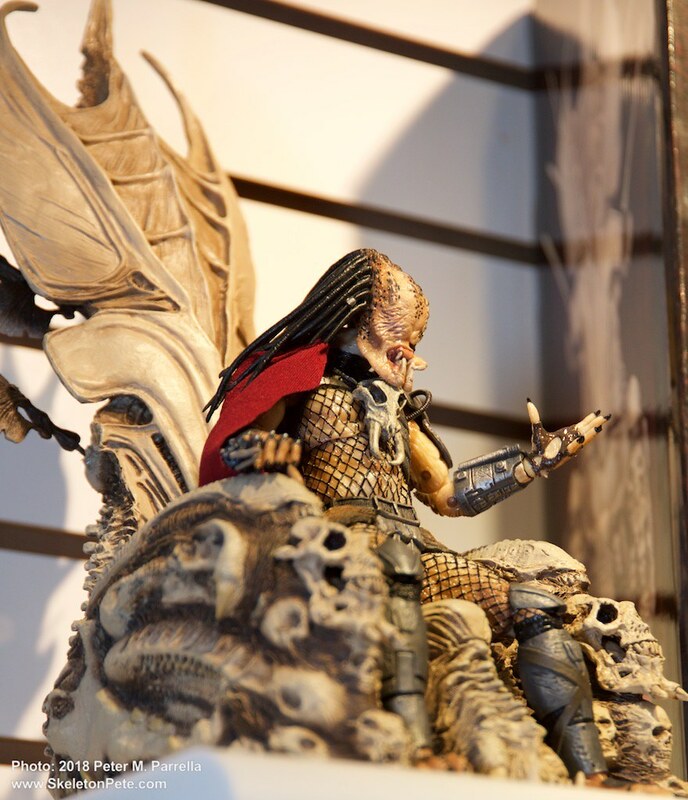 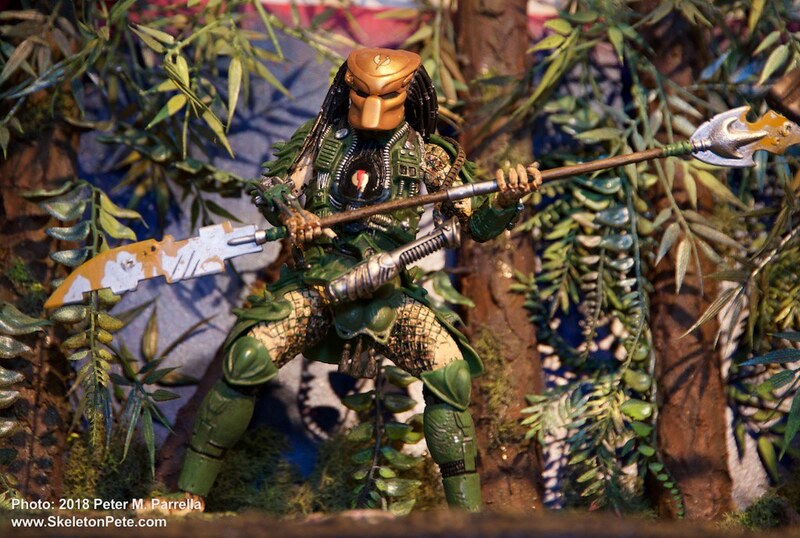 NECA has captured the sleek, angular, and wiry essence of the creature with its regal crest and slavering jaws. 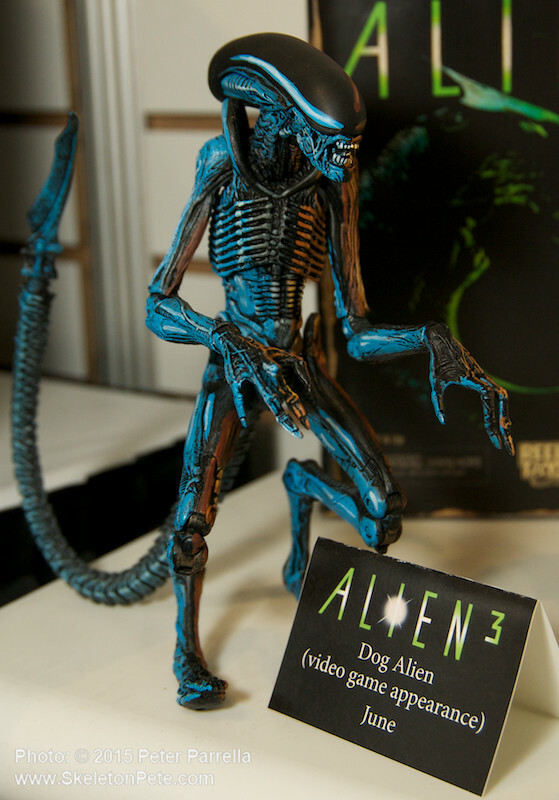 The deluxe figure has 30 points of articulation, stands over 15 inches tall and 30 inches long to the tip of its highly posable tail. 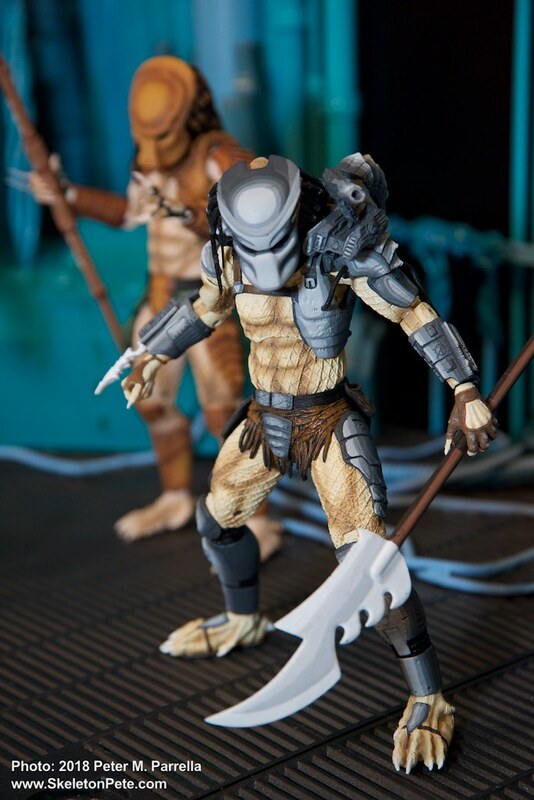 A stand and two sets of inner jaws are included. 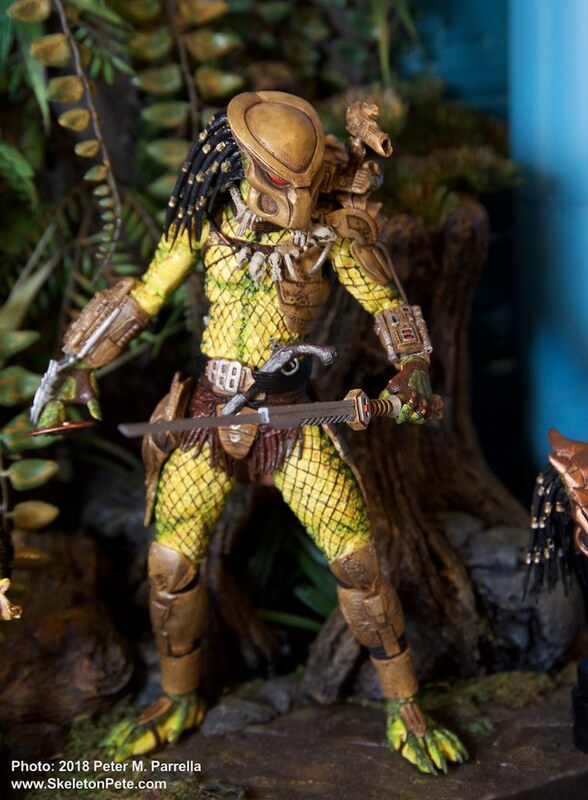 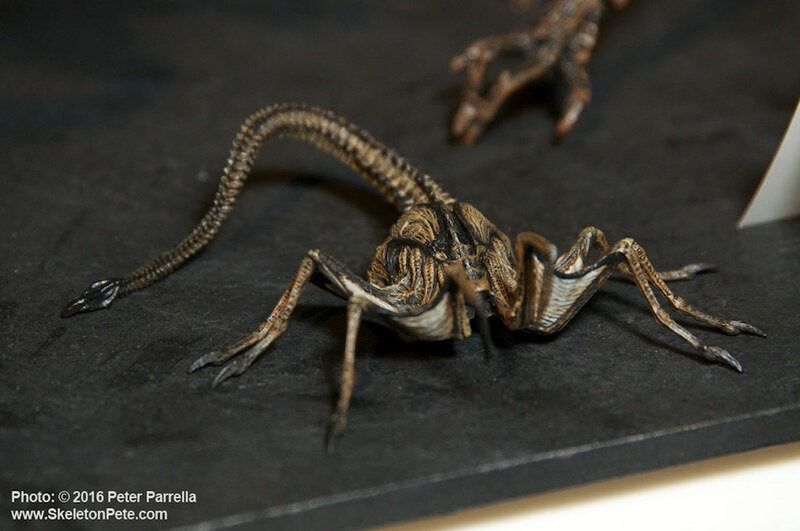 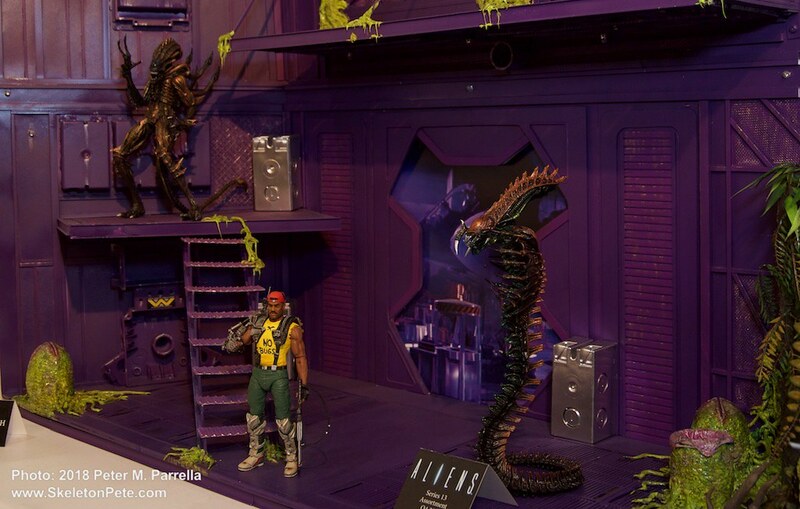 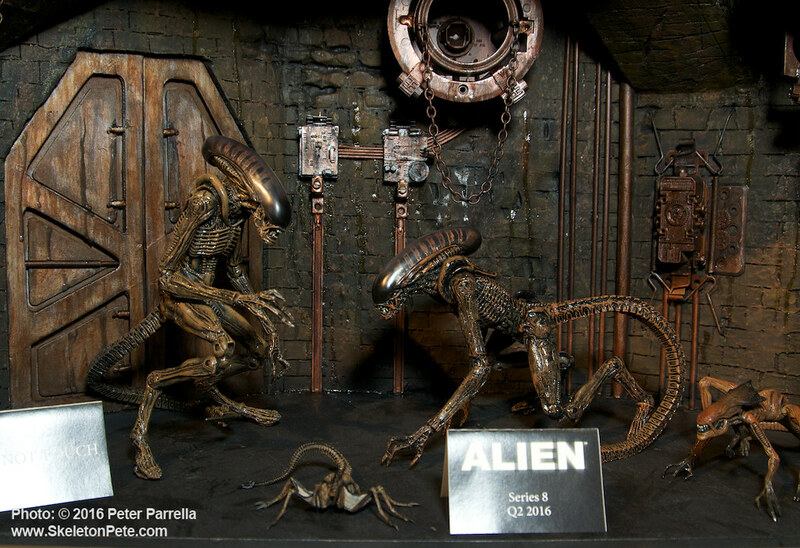 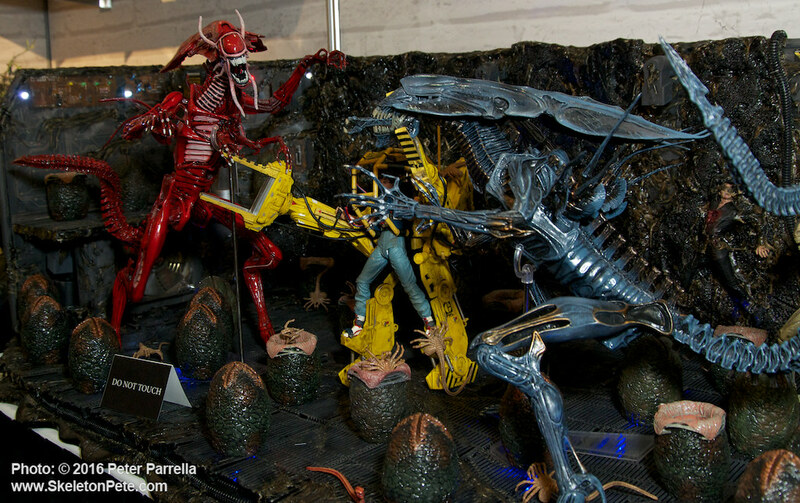 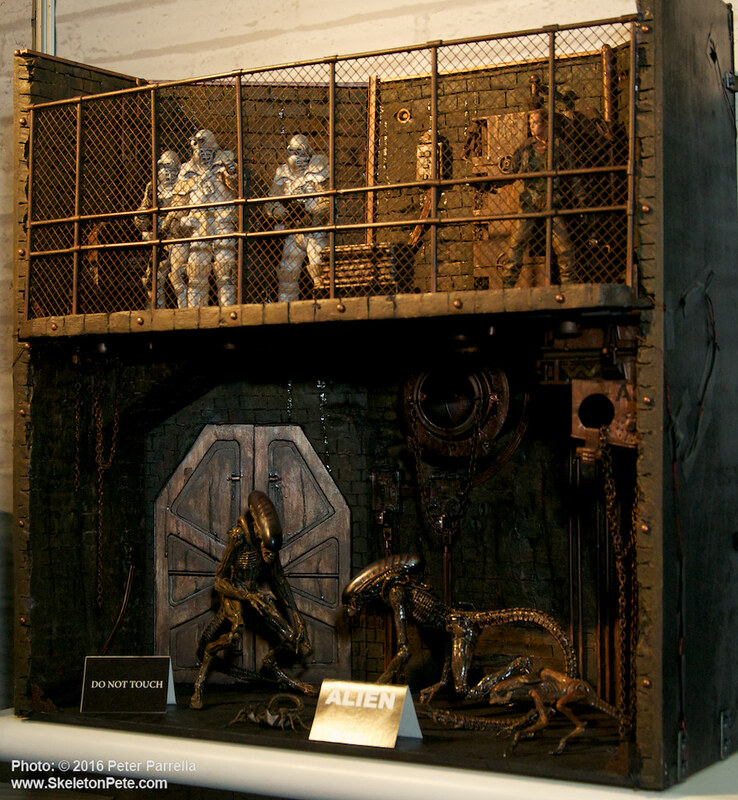 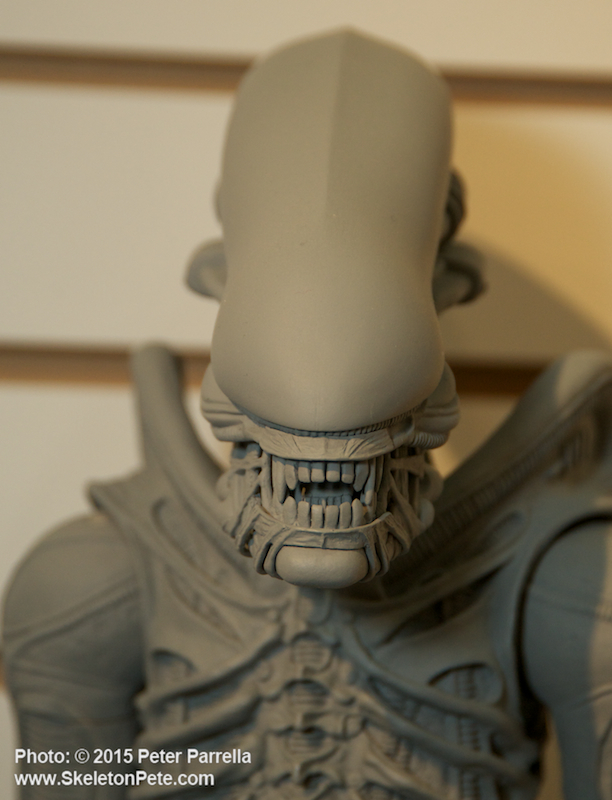 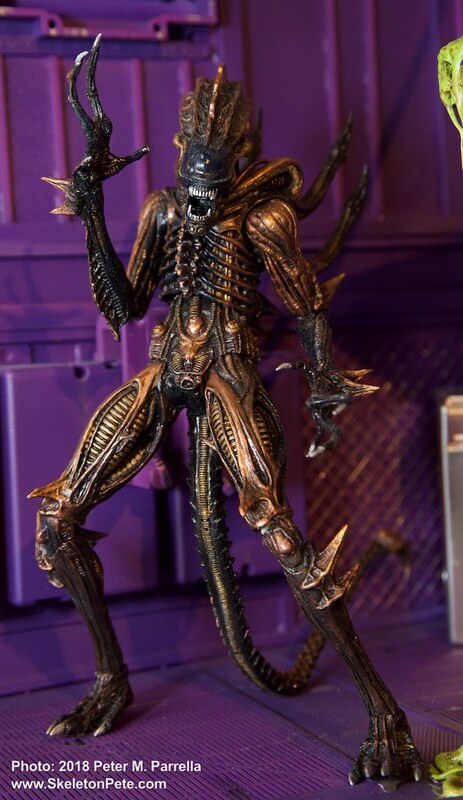 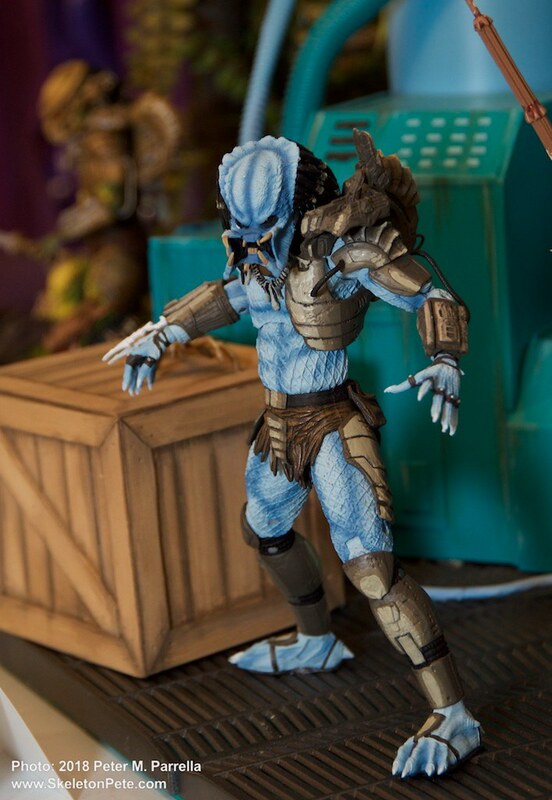 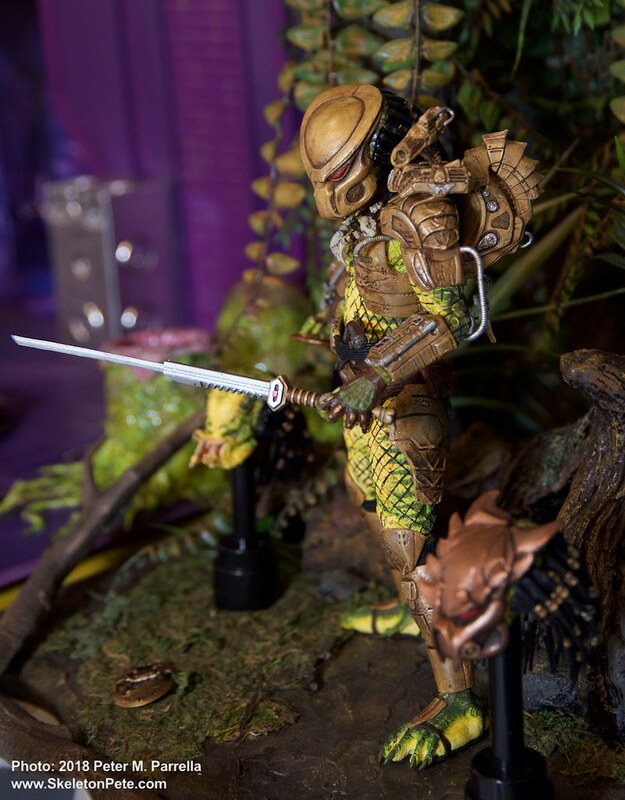 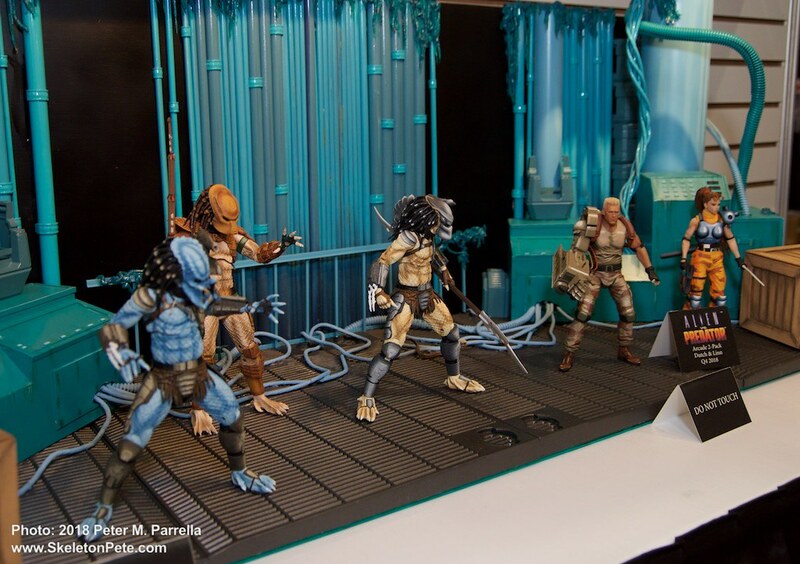 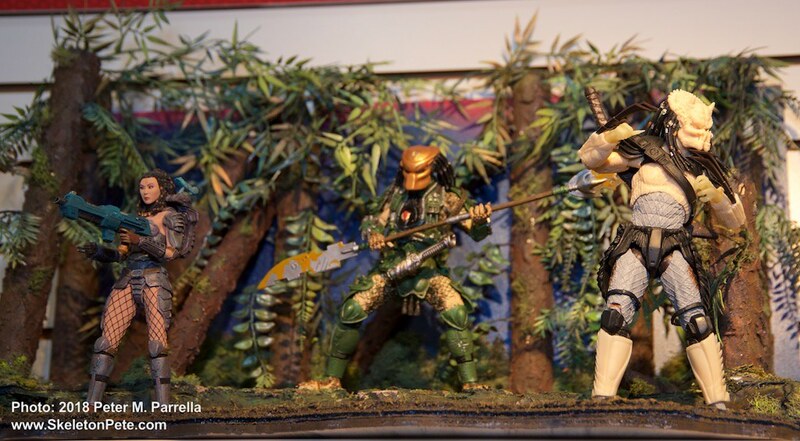 NECA also displayed a prototype of their 1979 Alien. 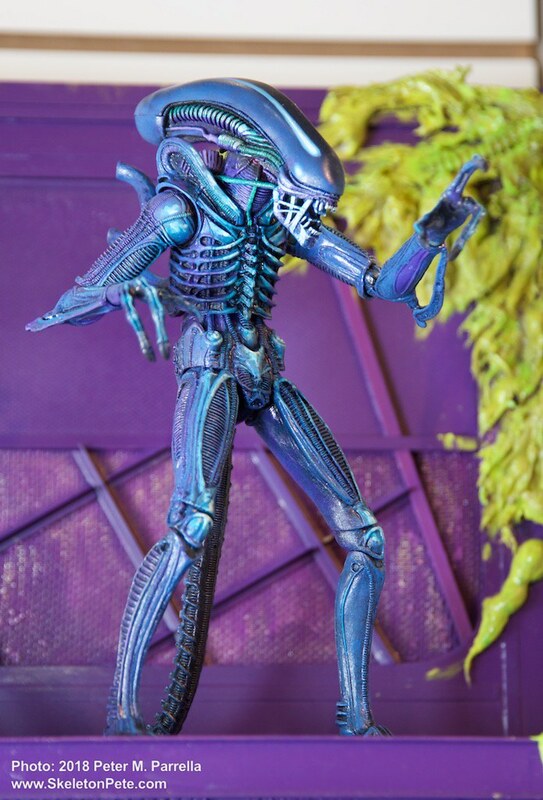 It’s a quarter scale replica of the suit worn by 6′ 10″ Balaji Badejo for his sinuous and balletic performance. 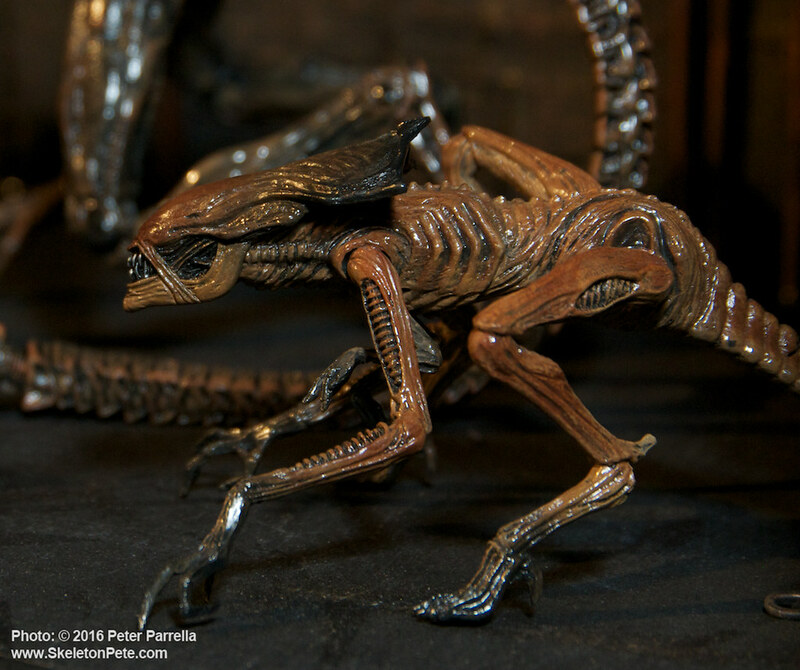 Born out of the late H. R. Giger’s nightmarish artwork, this lone creature was plenty enough of a scare on his own in the original film. 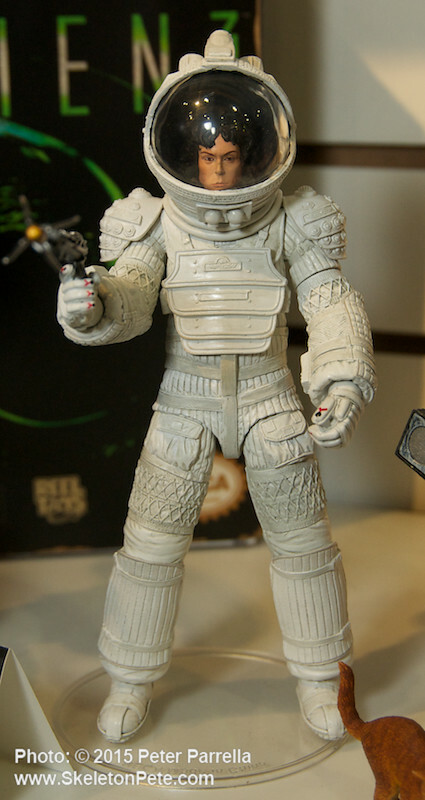 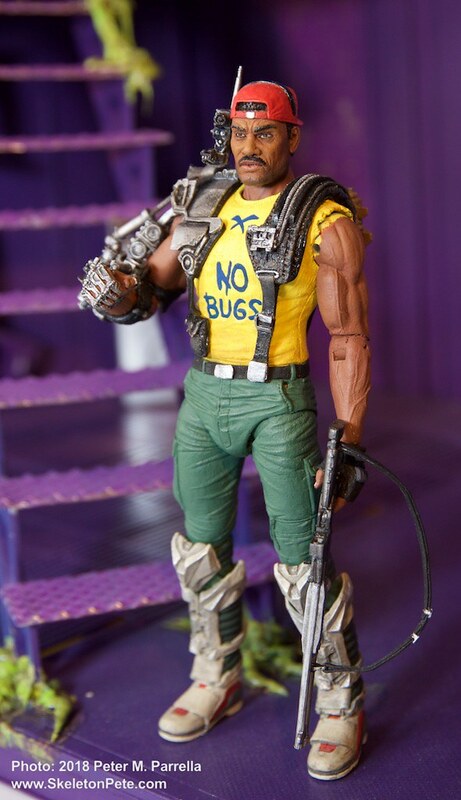 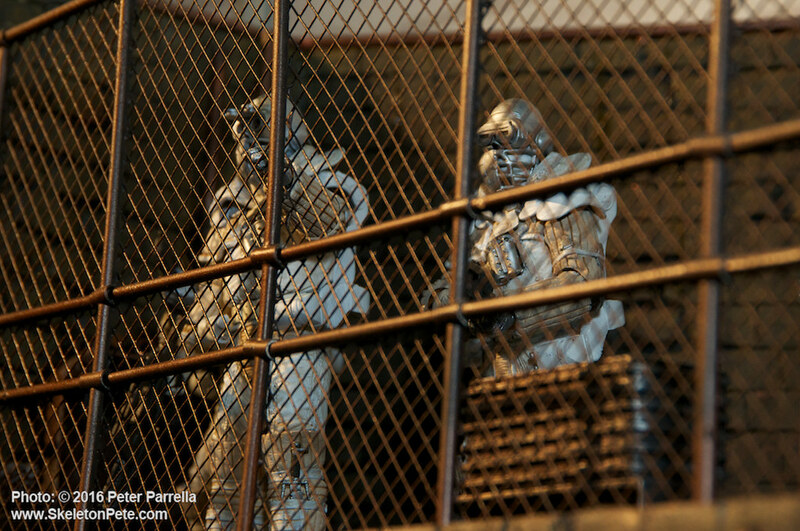 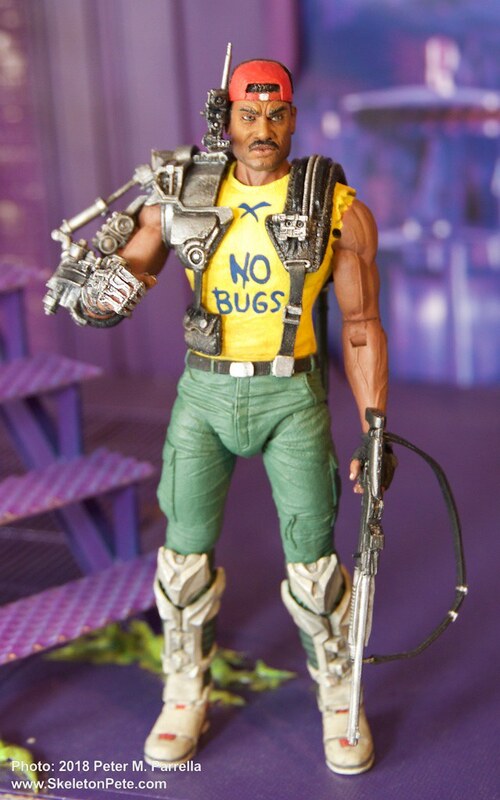 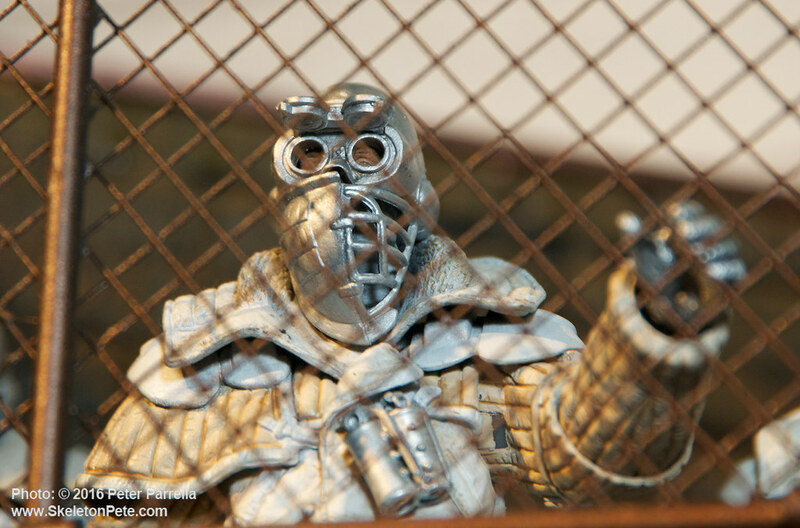 Even in its unpainted state it’s clear NECA has a fine representation in the works. 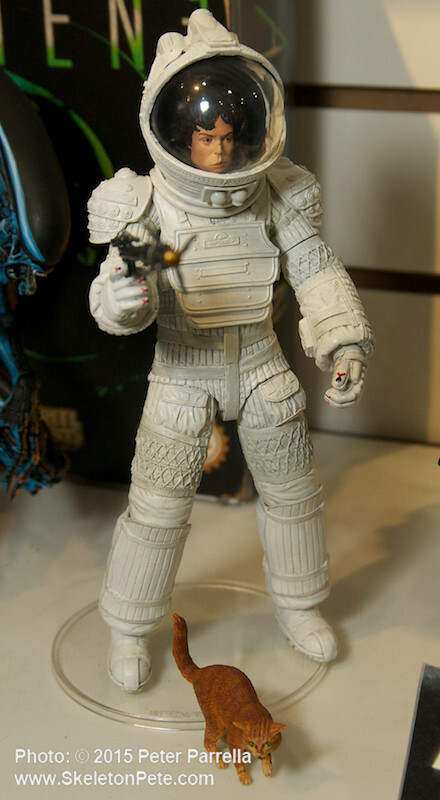 It’s scheduled for a June release. 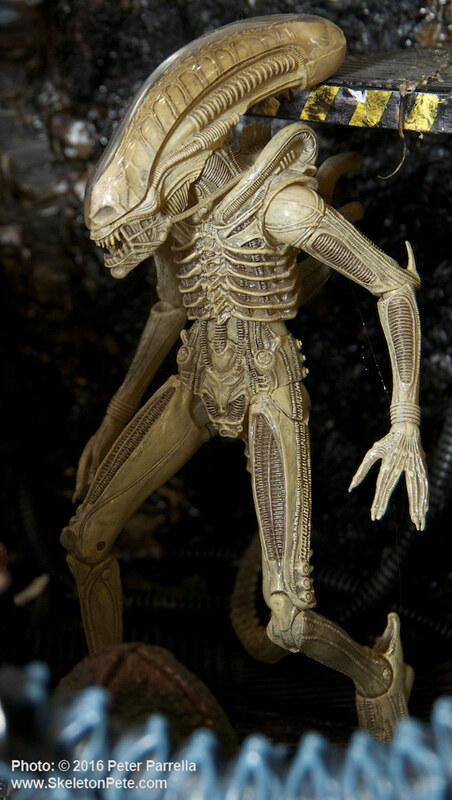 NECA’s unpainted prototype for a 1/4 scale 1979 Alien. 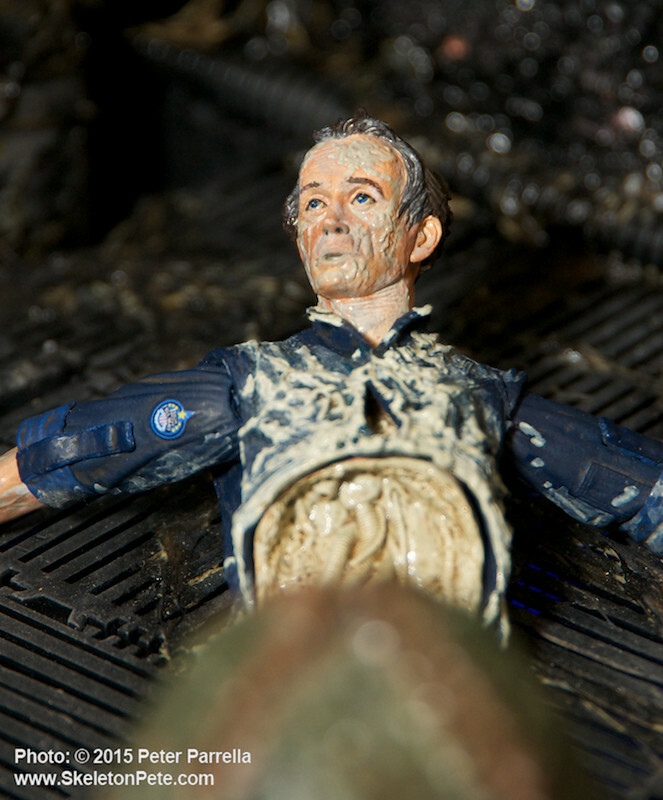 I was fortunate to have viewed the original Alien in its first theater run, probably its first week. 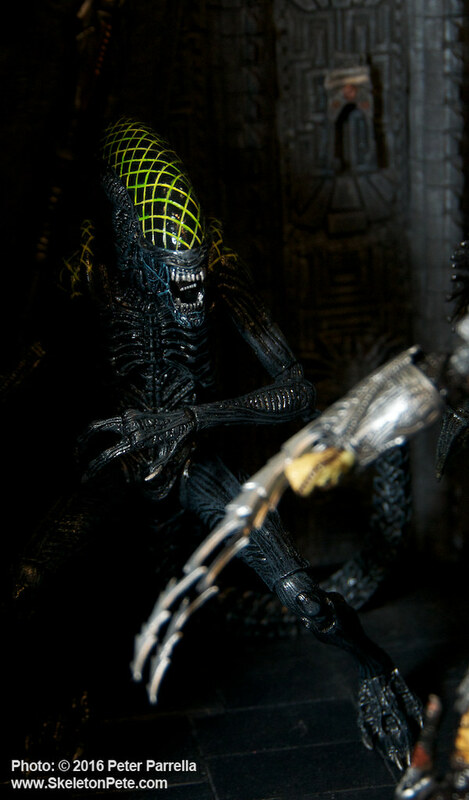 In 1979 there was no chance of internet spoilers, no speculation from decades old fan bases, just a pure experience that was quite a fright ride. 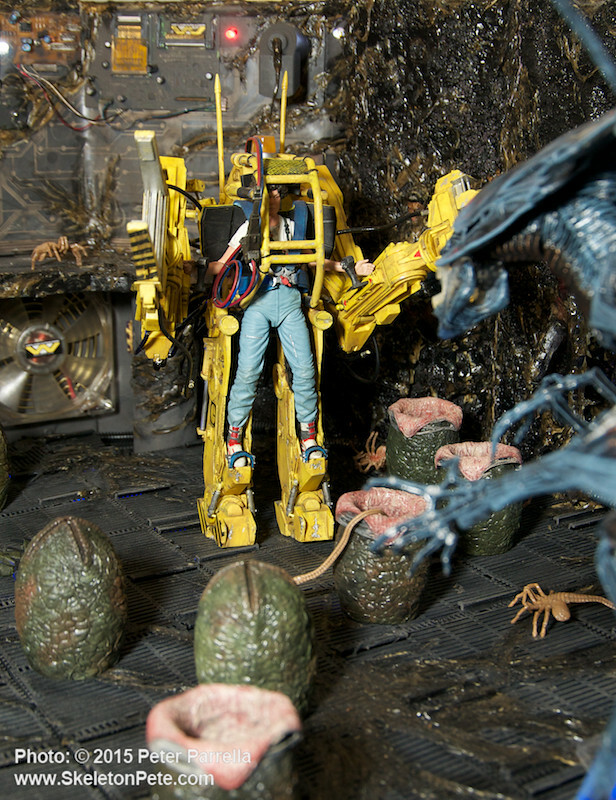 Second and third viewings were equal fun, especially watching the popcorn fly in the midst of unsuspecting first timers. 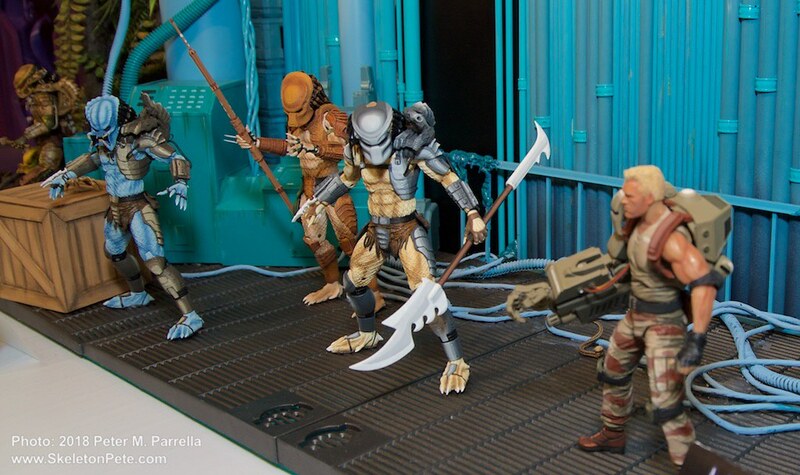 I only knocked the edges off the experience once I could run it on VHS at will. 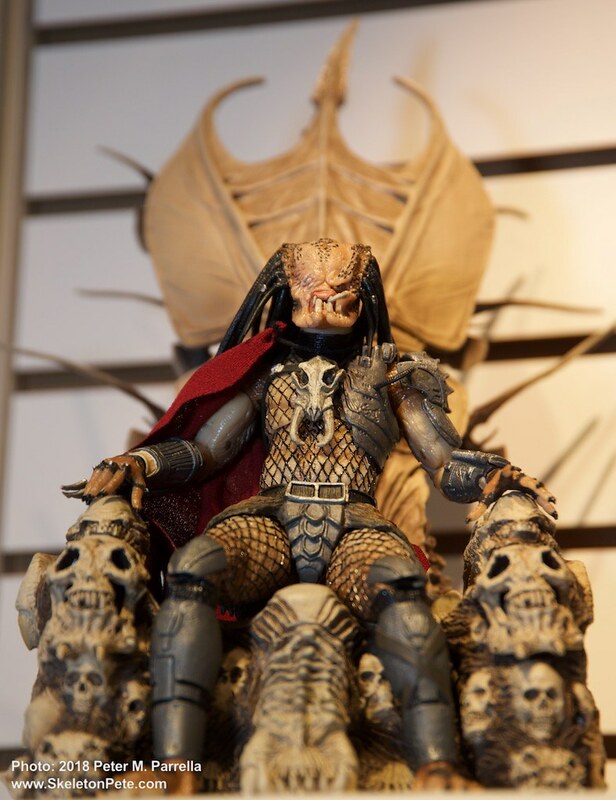 It is that kind of audience familiarity and the since proffered Prometheus backstory and Predator interpolations that Neill Blomkamp will have to overcome in his quest to make his new installment of a piece with the first two and offer that kind of impact.